Cynthia got her start in writing here at HubPages. It has helped to launch her online career and for that, she will always love the important role it has had in her life. 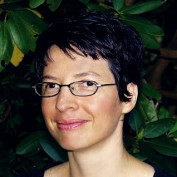 She has a master's degree in Spanish and occiasionally writes articles about learning Spanish. But...these days she's the social media marketer at the school where she works because she got her online start at HubPages. She's an INFP personality. This means that she has lots of interests that wax and wane over time. 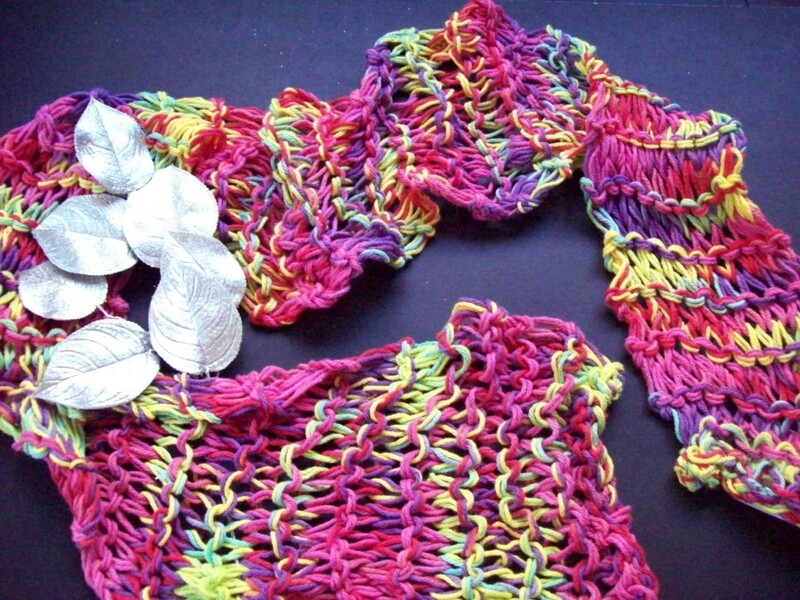 She spends most of her time now over at her website, Intuitive and Spiritual, spreading love and compassion with creativity. 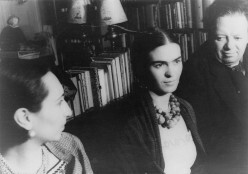 She's always had a soft spot for the arts, for literature, for language, culture, and spirituality. She just published her coloring book, "The Tree of Life: A Coloring Journey" under her pen name, Cynthia Sageleaf. 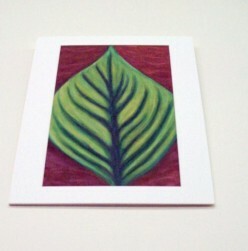 In September, she published, "The Tree of Life: A Personal Development Journal" on Amazon, as well. She still writes over here at HubPages, too, from time to time. You'll find that her articles have a lot of variety, to go with her "multipotentialite" personality. 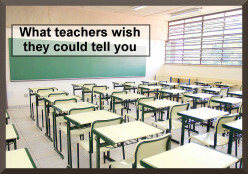 Get that teaching job of your dreams with these tips and tricks from a teacher who's been there and done that. Learn about portfolios, resume tips and much more. If you have ever had a pet with fleas, you'll know the ensuing nightmare of baths, flea medications and combing fur to pick them off. It's awful! 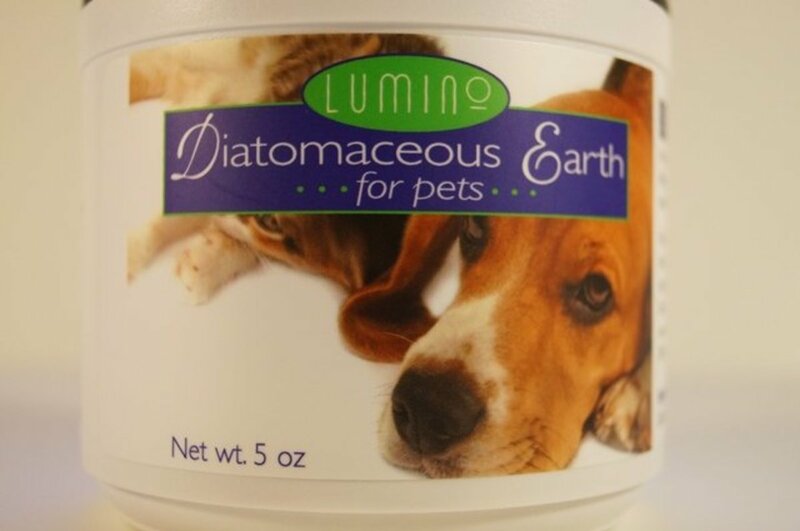 Diatomaceous earth can help solve that problem. 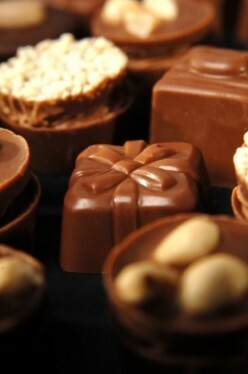 Learn the legendary story of where chocolate comes from, as well as some interesting facts about cacao beans and Quetzalcoatl. You'll also find a yummy recipe for Mexican Hot Chocolate. Hummingbirds are the world's smallest birds, but that doesn't mean they can't accomplish the impossible! 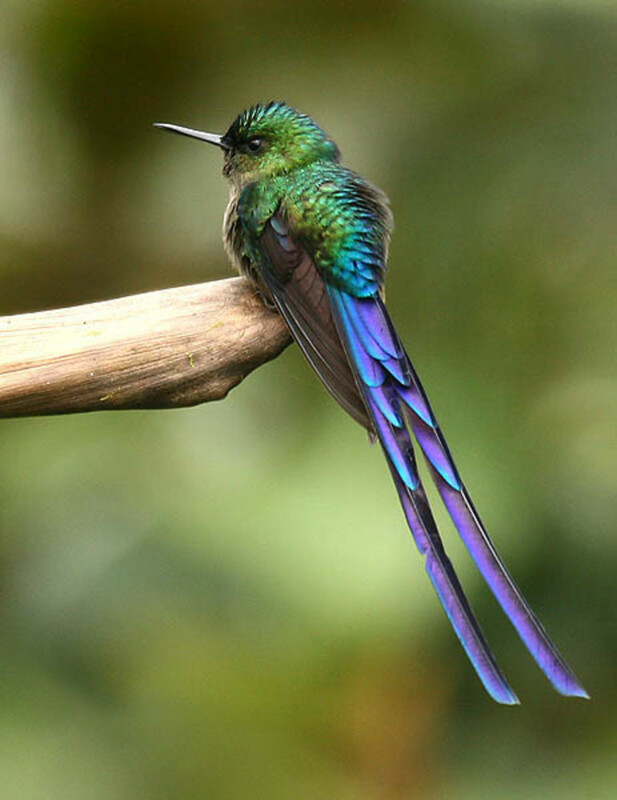 They can fly fast, migrate thousands of miles and still bring happiness your way. Ravens and crows are so alike, yet different. 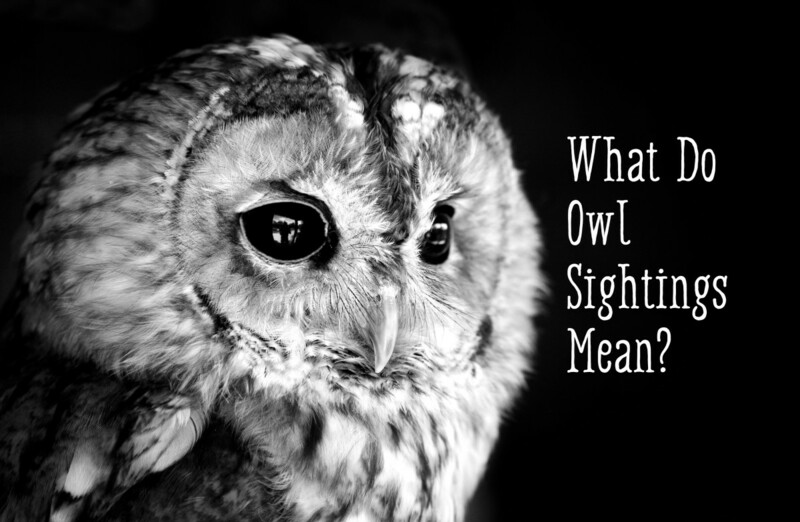 They have interesting symbolic value and are such curious creatures. 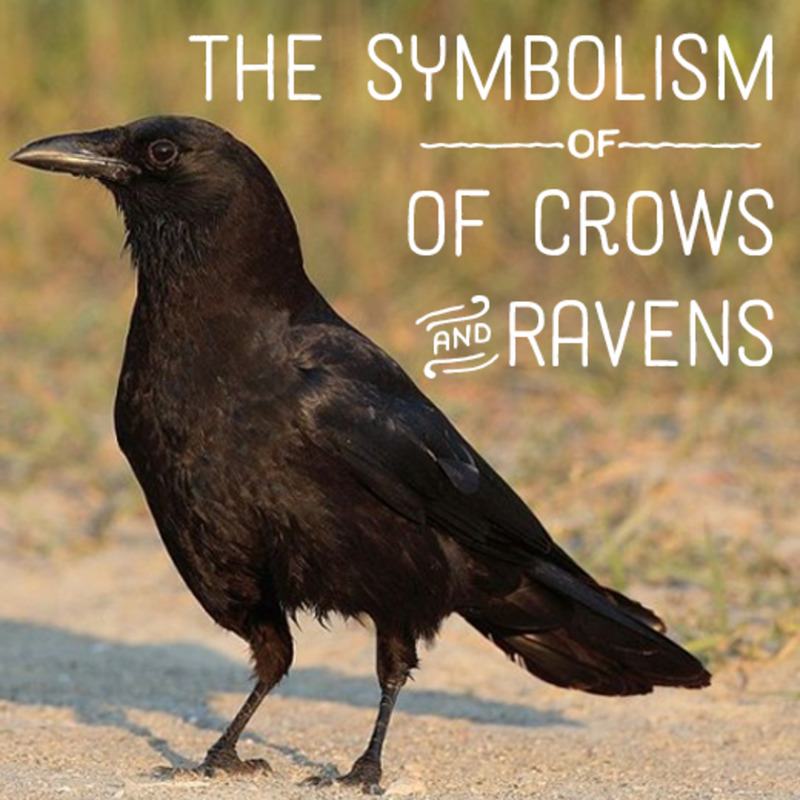 Read more about ravens and crows and what it means when you see them frequently. If you've never found your calling, it might be because you're good at so many things that you're a multipotentialite! 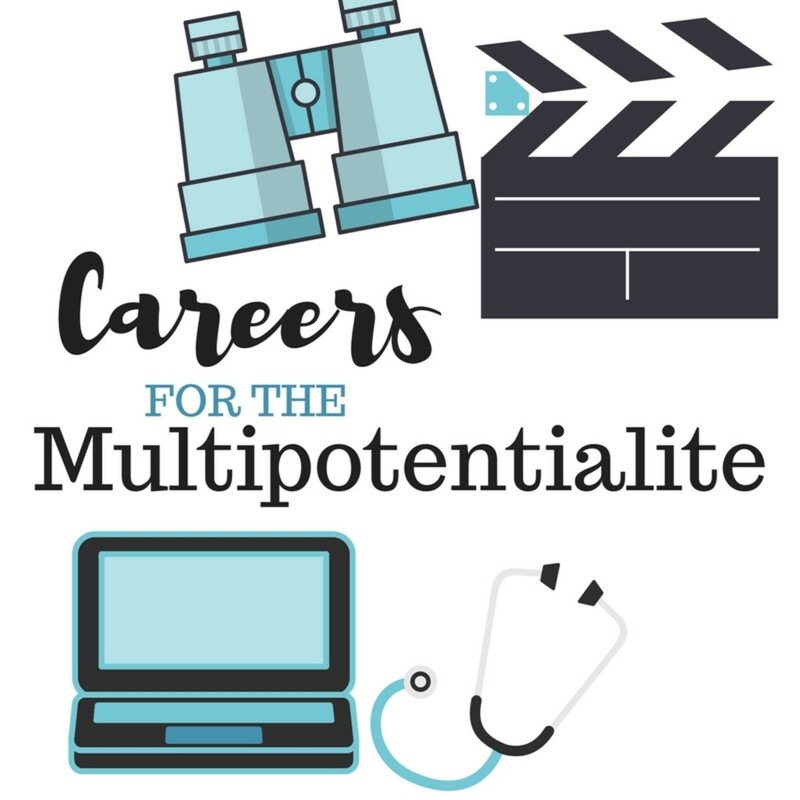 Multiple careers is the name of the game. 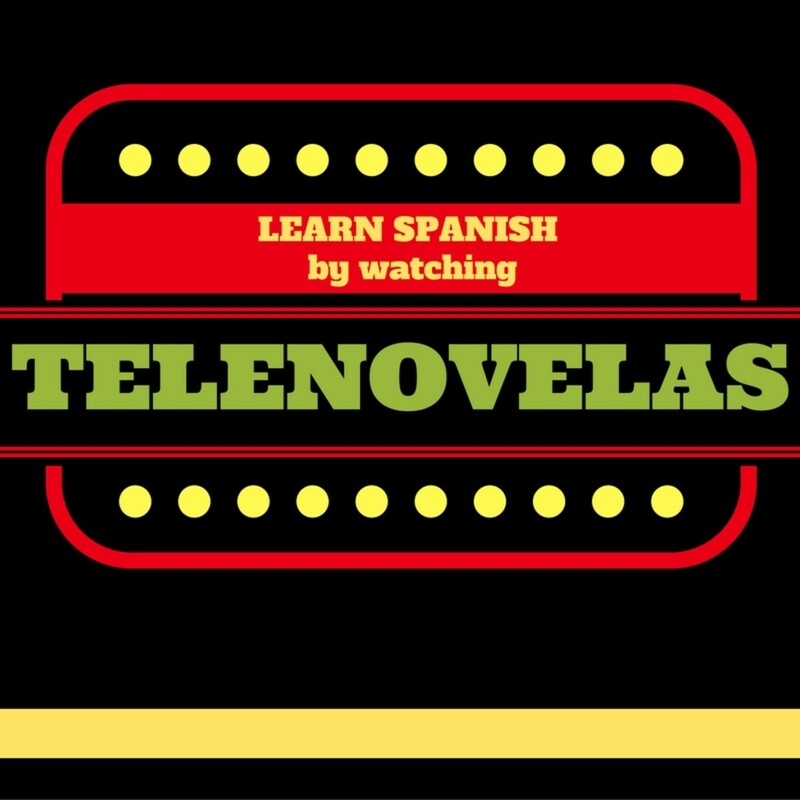 When you begin to learn another language, you can really improve your listening and speaking skills by watching telenovelas. The following series are great for Spanish practice. The first year of teaching entails so many new experiences. Make it a little easier by using some or all of these strategies to make the ride a little smoother. 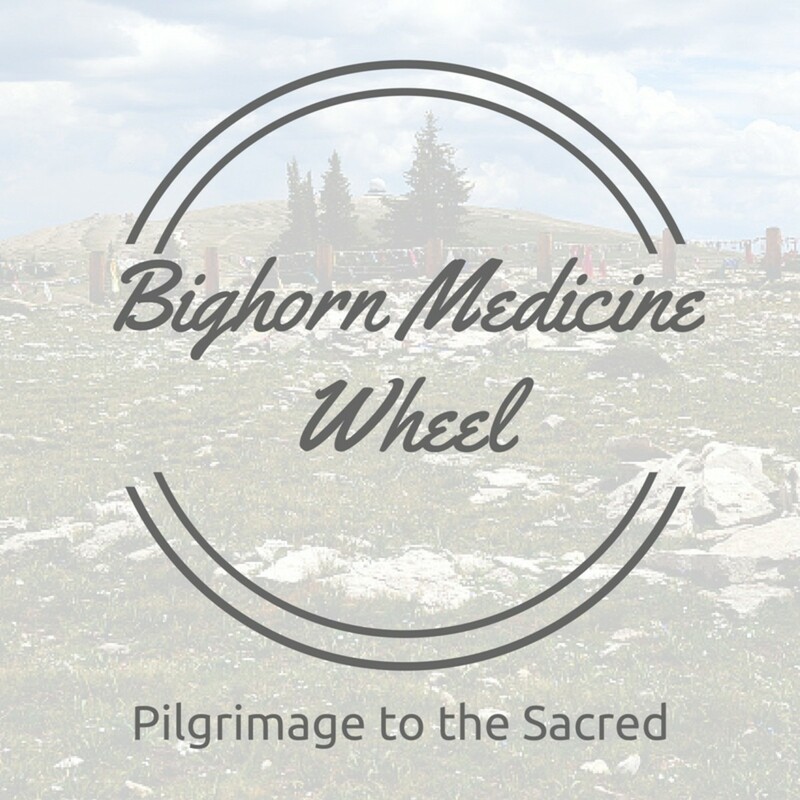 Bighorn Medicine Wheel is located at Medicine Mountain. 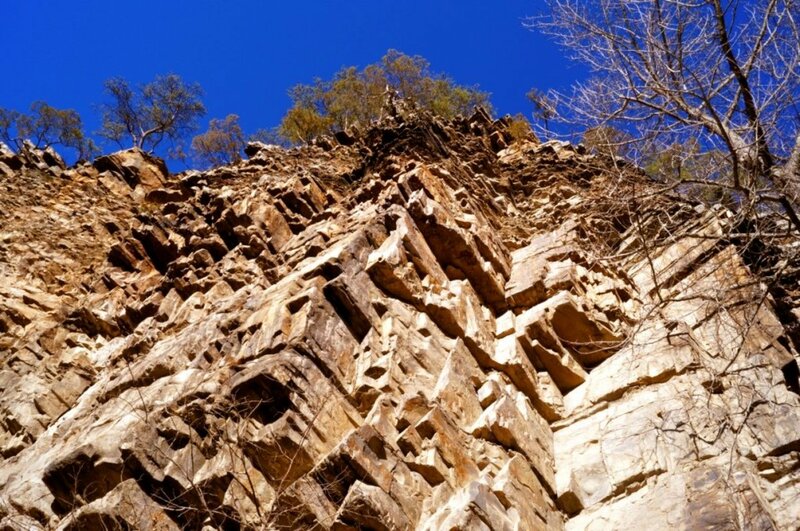 Rocks and stones make up the wheel and line up with the equinoxes. It is a magical place. Mt. 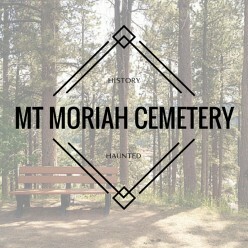 Moriah Cemetery in Deadwood, SD hosts many colorful characters. Not only that, Seth Bullock himself probably touched my shoulder when I passed by his grave. Road trips have a number of benefits. From getting you out of your routine to discovering new places, there's something for everyone in taking a trip. If you know the most common verbs in Spanish, then you're a long way to understanding the language. 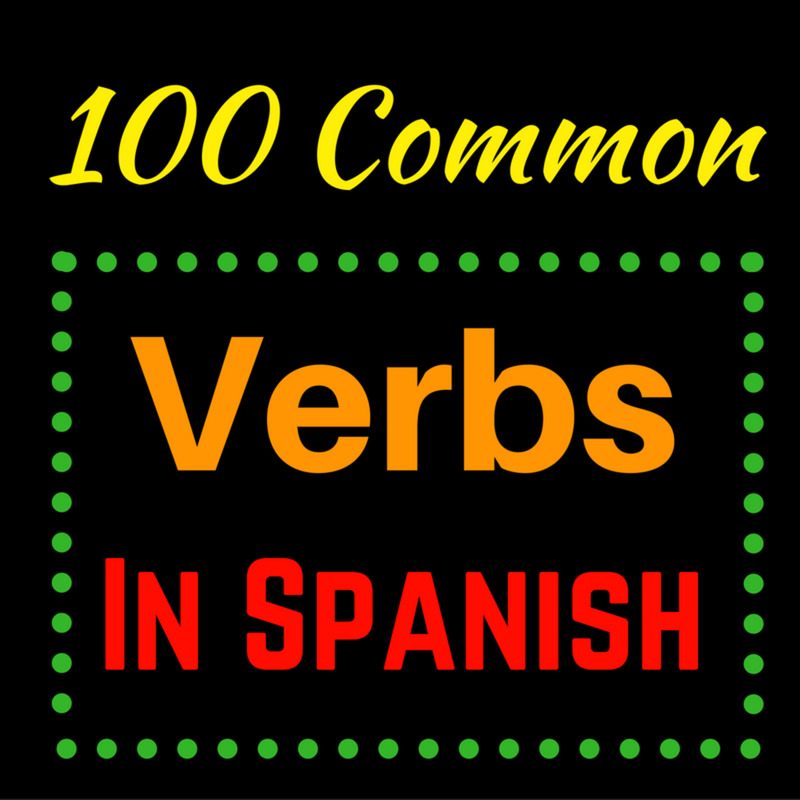 Here are 100 of the most common verbs with some different expressions of usage. 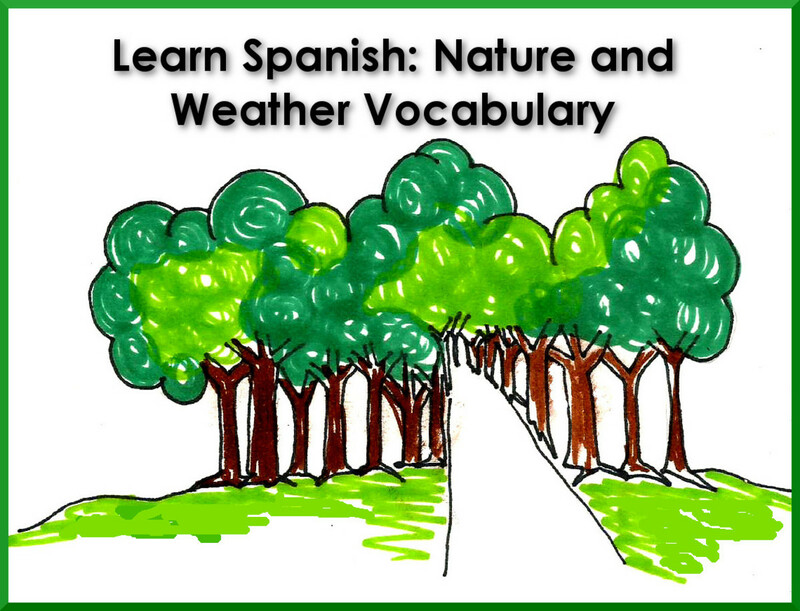 Learn a little Spanish for free - words from nature. Download flashcards, try the quizzes and learn common vocabulary to help you speak better Spanish. 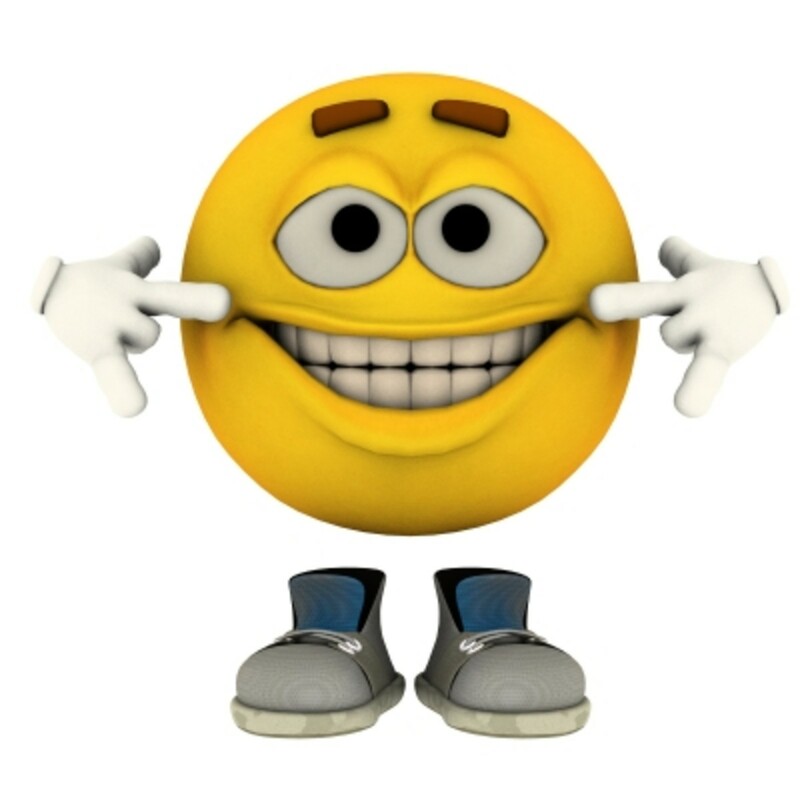 Learn some Spanish and express yourself better by understanding tener expressions. Try some exercises, make some flashcards, and take a quiz to test your knowledge! 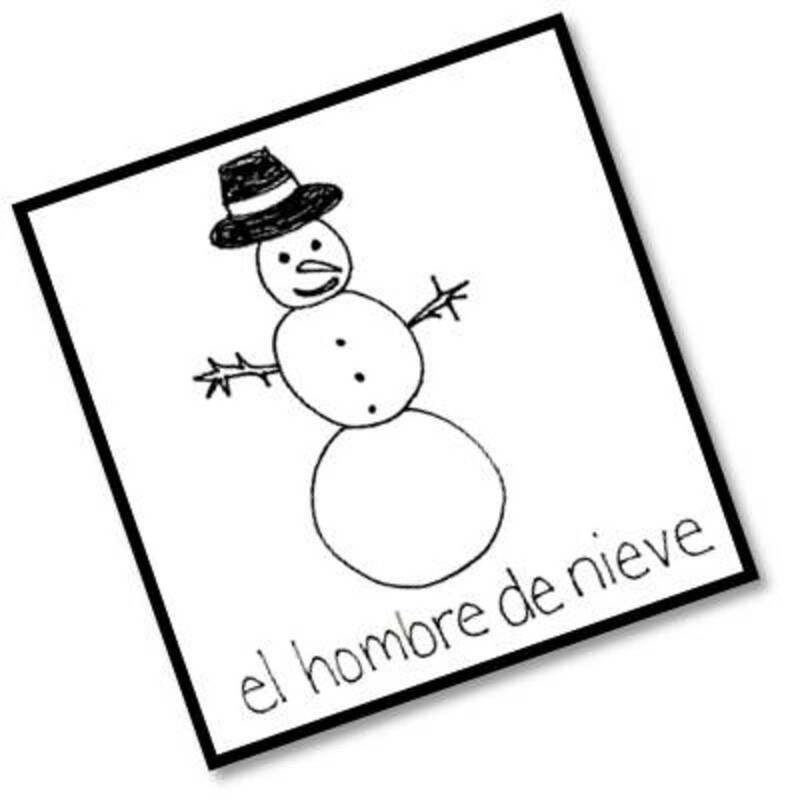 It's fun to learn about winter vocabulary in Spanish. 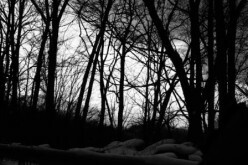 Study 14 words and new phrases to express yourself in the winter. 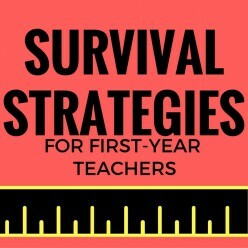 Included are images and worksheets to help you make flashcards and practice! 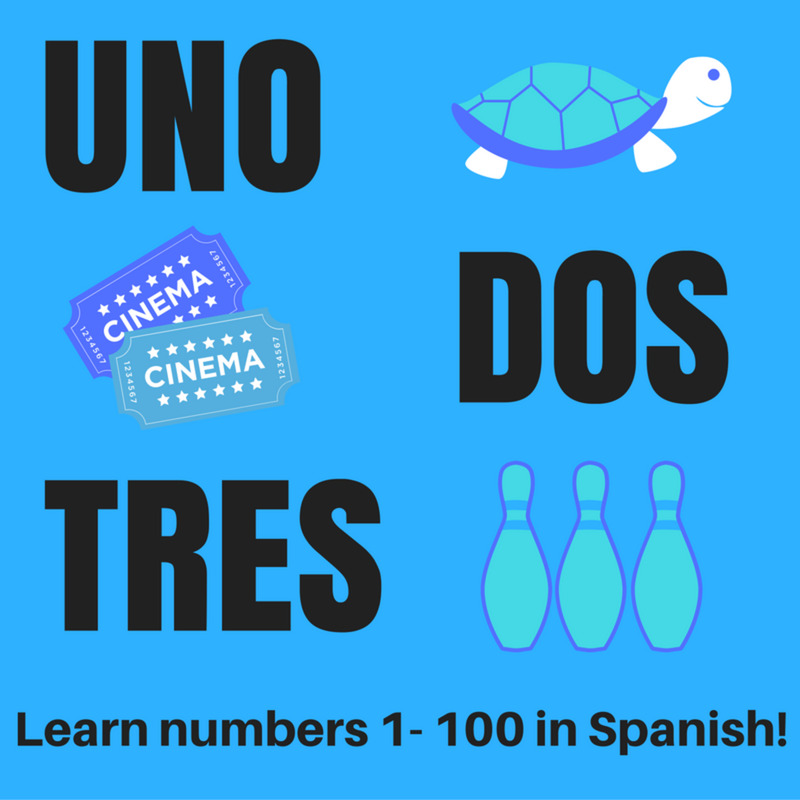 Have you always wanted to learn the Spanish numbers? Look no further: you'll find the numbers 1-100, as well as practice exercises and a quiz to help you learn your Spanish numbers. 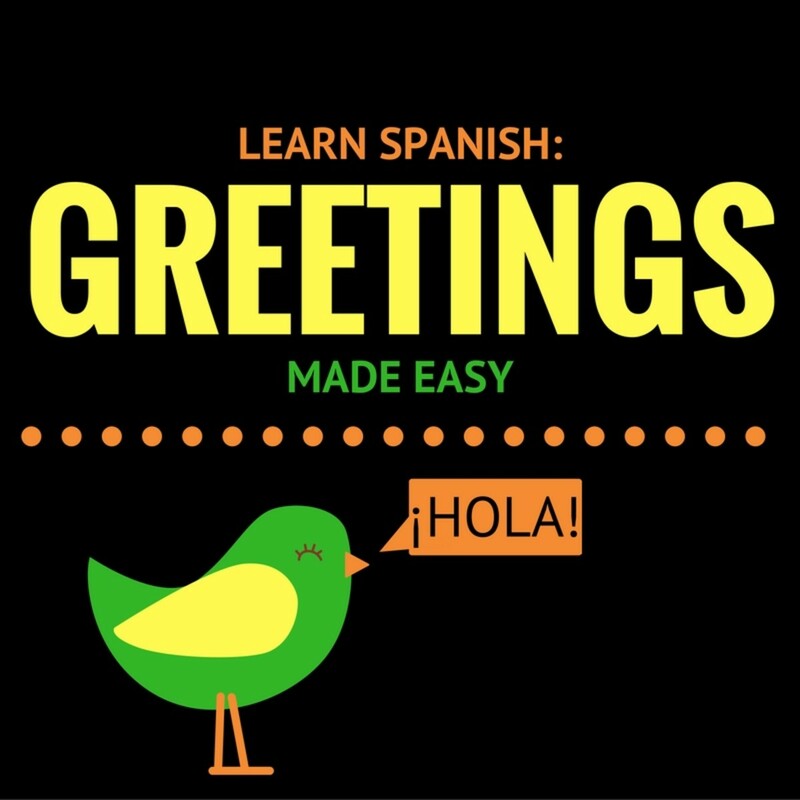 Learn some greetings in Spanish to help you interact with native Spanish speakers. Study the greetings and then take the quiz to see what you learned! 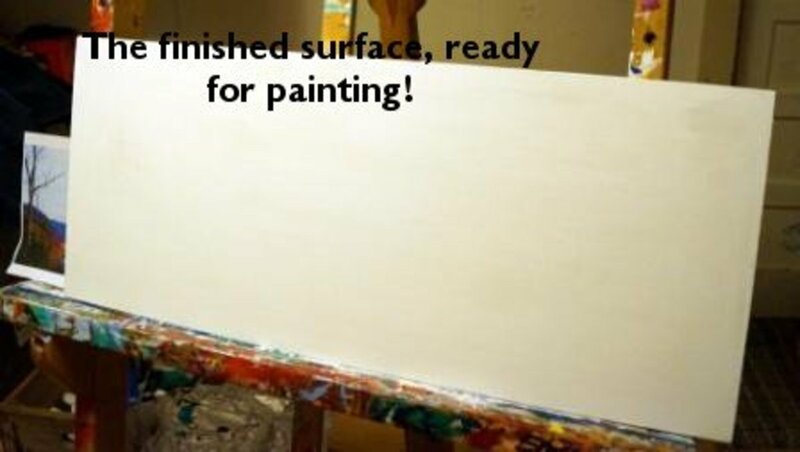 Making and stretching your own canvas doesn't have to be difficult. It's actually an art in itself. Learn how in this hub. 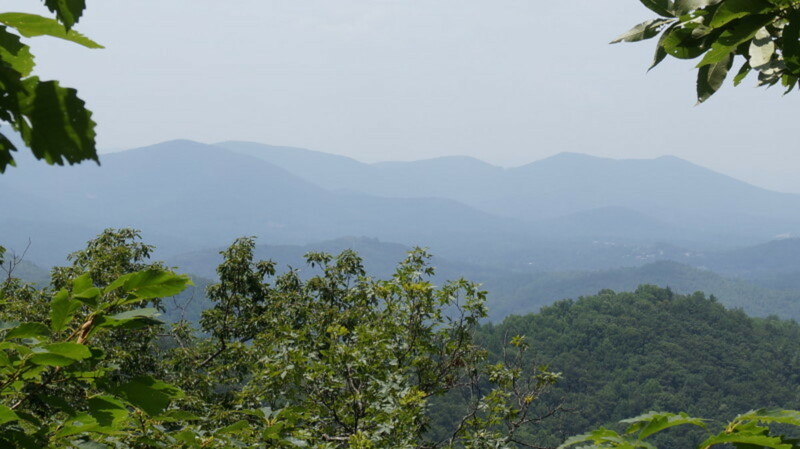 Hiking in Western North Carolina near Asheville offers majestic views, fun adventures and historical significance. Paint Rock is about 1 hour and 15 minutes from Asheville near Hot Springs, NC. Organizing your photos doesn't have to be a daunting task or even that difficult. 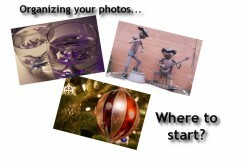 It just takes a little time and a willingness to organize your photos by date and subject. Have you ever tried selective coloring to make a single color "pop" in an image? You can use your DSLR to do it or you can use GIMP (or another photo editor). 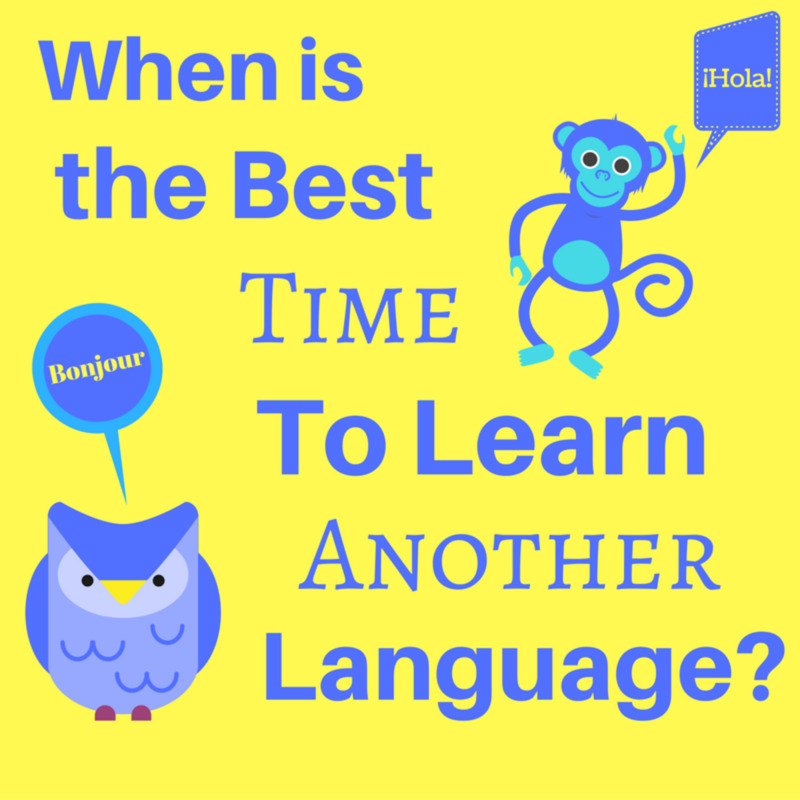 Learning a language is fun, but there's an ideal time, method and lots of reasons for doing so: when you're younger, it's definitely easier. Do you use Creative Commons photos? If so, are you familiar with the different licenses? 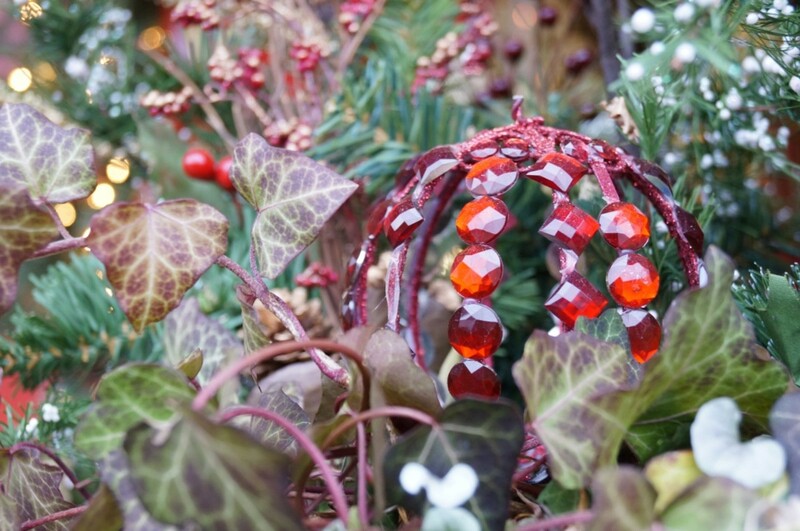 While you're at it, enjoy some free Christmas-themed photos as a gift! When you take a photograph, proper lighting is the most important element. It can mean the difference between a perfect photo or one that is so dark, you have to strain to see any details. Photo projects can be great fun, help you improve your photography skills and lead you to bigger and better projects. In this hub I also discuss some amazing and famous photo projects to help with ideas. You can write a novel in 30 days! It takes a little planning, some steely resolve and an idea. I write here about my experience attempting the 50,000 word-challenge during the month of November. 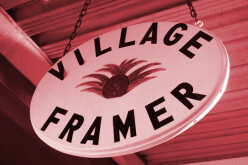 Small businesses are an important part of the American landscape. In this hub, I interview a local shop owner who exudes love of community, her work, arts and crafts & who is a vibrant entrepreneur. 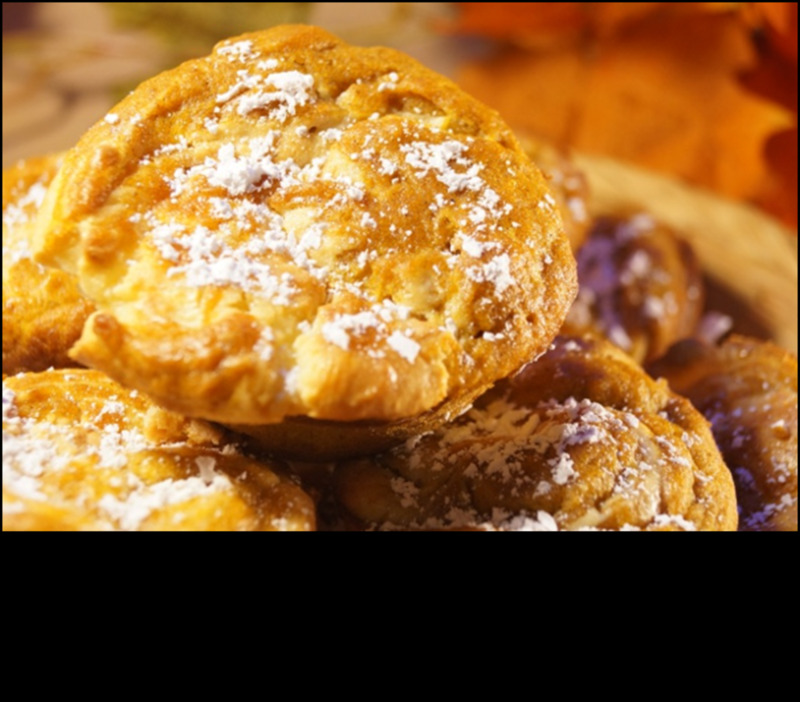 If you like pumpkins and cream cheese, try these muffins! They're not difficult to make and with a bit of powdered sugar, you'll have a yummy breakfast delight. 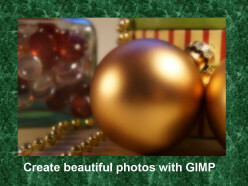 GIMP is an image manipulation program that can help you edit photos for stunning results. 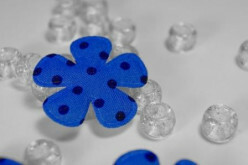 You can use the color picker tool to help improve your image in a number of ways, including fixing blemishes. Are you thinking about upgrading to a DSLR camera? Check out my review of my Sony a57 and why you should get one. Which do you use? Site, cite, or sight? How about their, they're and there? So many words and so many choices. Check out this fun guide to help you never forget which one to use. 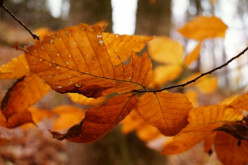 Capturing photos of the fall colors doesn't have to be a challenge. In this hub, take a look at some of the images I've taken and find out some easy ways to take fantastic fall photos. 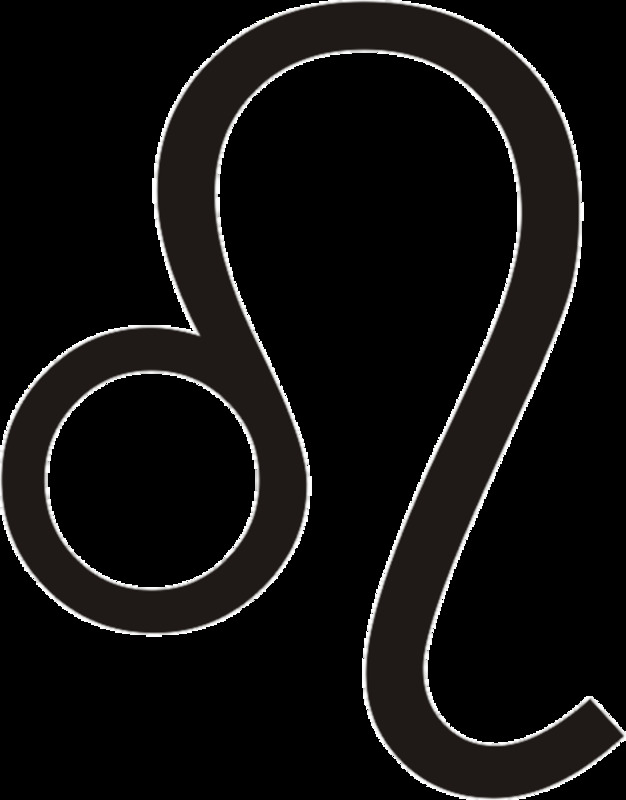 The constellation Libra has a mythological history, just like all the constellations that circle the zodiac. 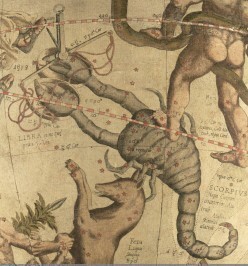 Find out about how "scales" relate to Libra and see what stars make up this constellation. Do you ever have problems getting a fire started in the fireplace or wood stove? 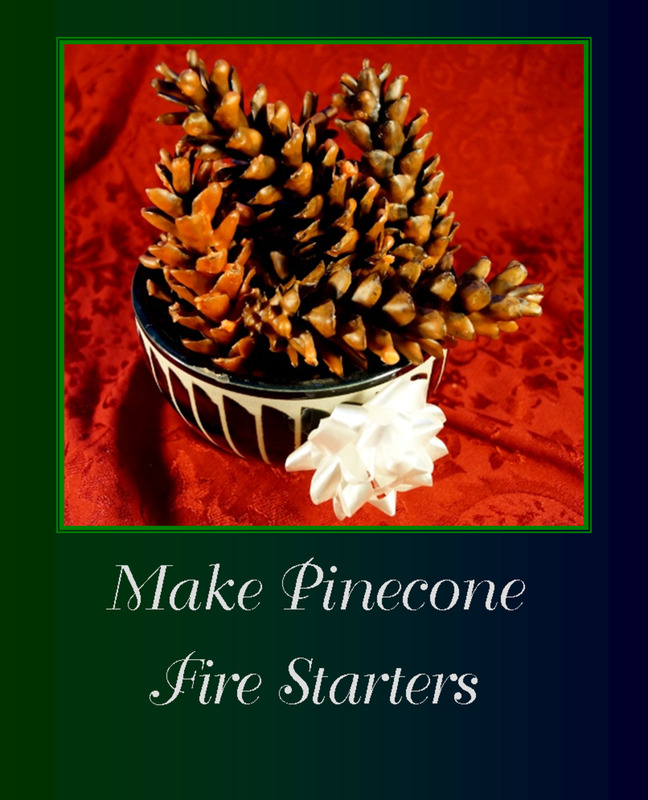 Why not try making pinecone fire starters? 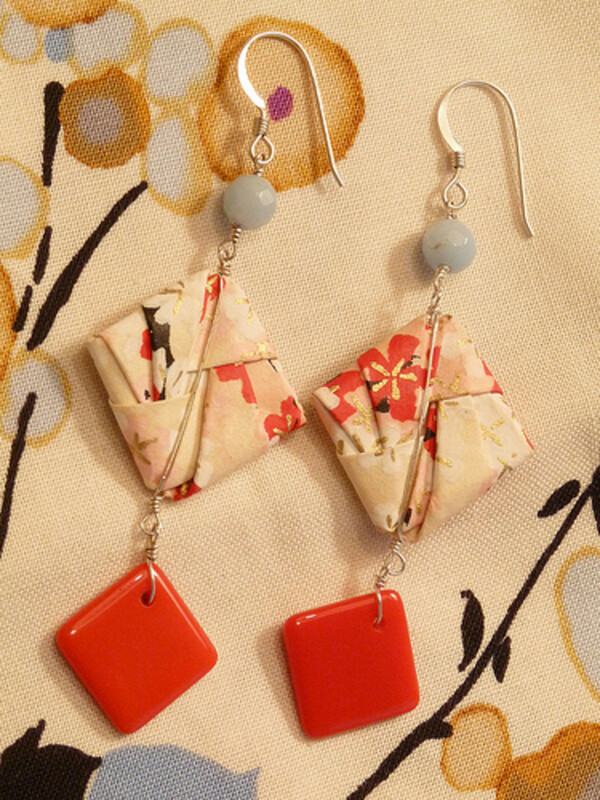 You can use them for yourself or make wonderful handmade gifts with them. 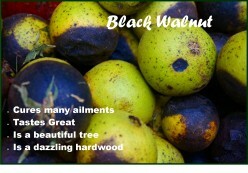 Black walnut is a great tree to have around. 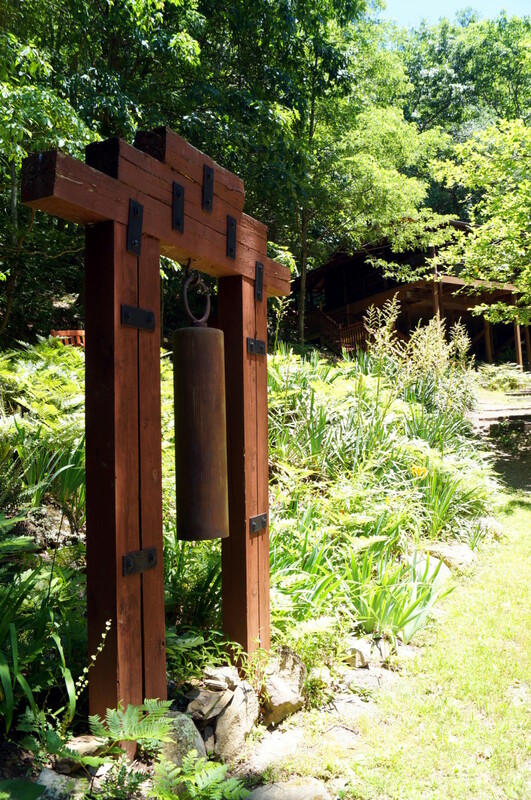 It yields beautiful wood, great tasting nuts, and the hulls have medicinal properties. It has a wonderful taste and you can use it in cooking. 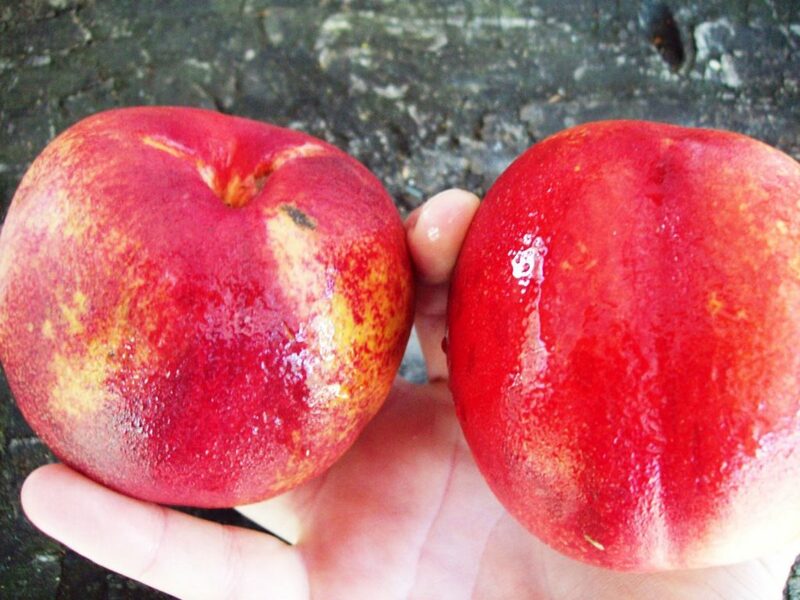 Find out more about this interesting plant and fruit. 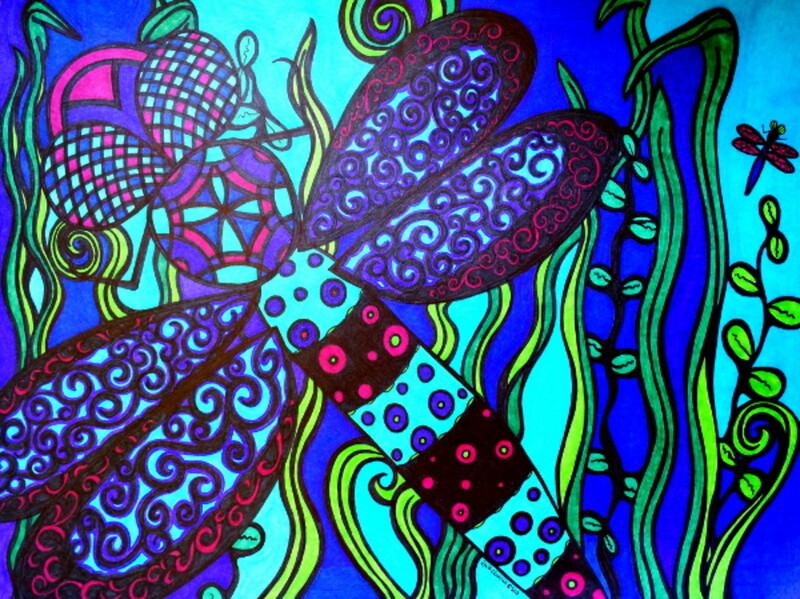 Use your doodling skills for good! 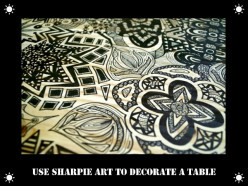 Create a beautiful table using black Sharpies to make a work of art! The table will be useful and you'll have art to look at that is pleasing to the eye! 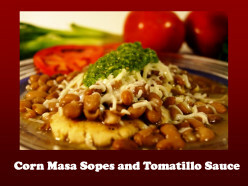 Using fresh ingredients, you can make a colorful, fantastic plate of sopes, pinto beans and tomatillo sauce. 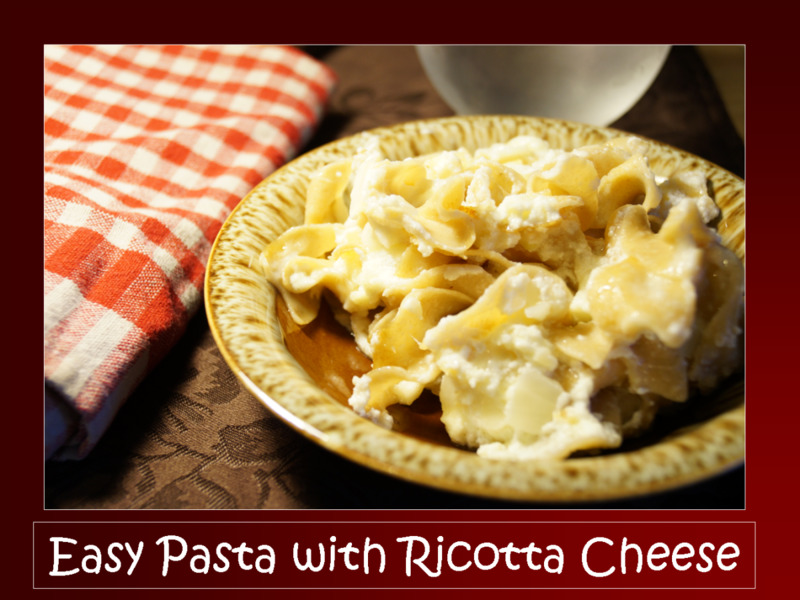 You just might adopt this dish as a family favorite! 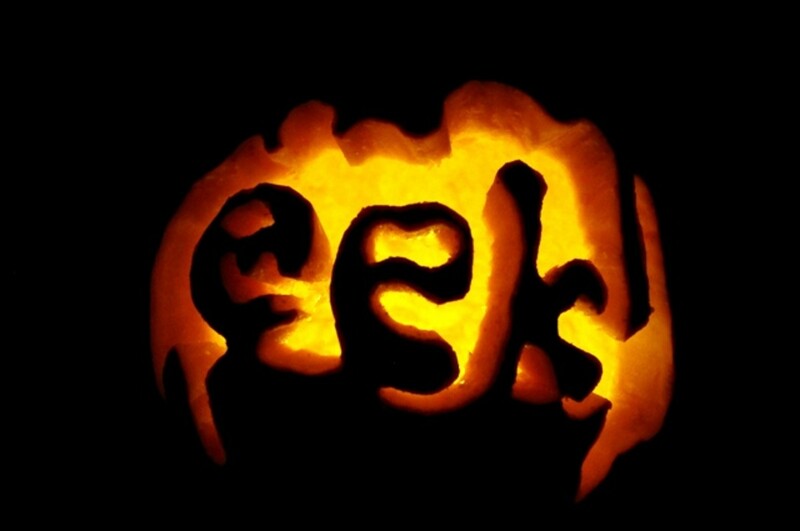 You really can make fun designs on your pumpkins! It requires some work and patience - but it's worth it! Do you like flowers? 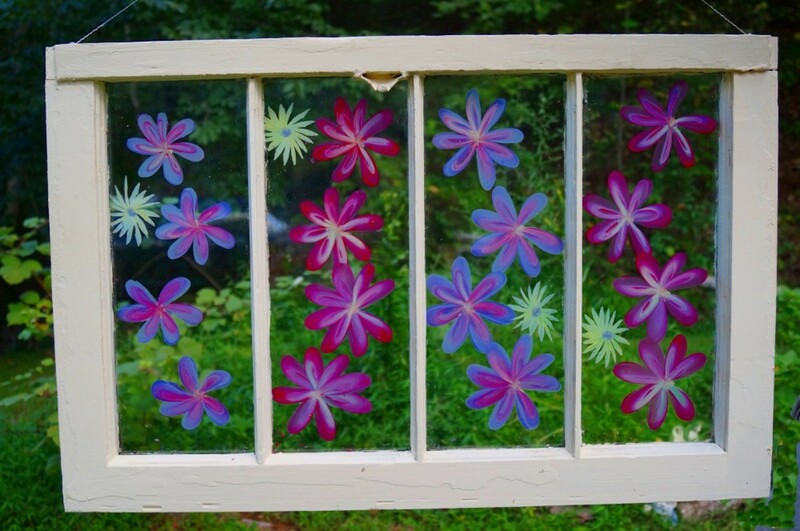 Included in this hub are step-by-step instructions to paint flowers, a video and three project ideas. 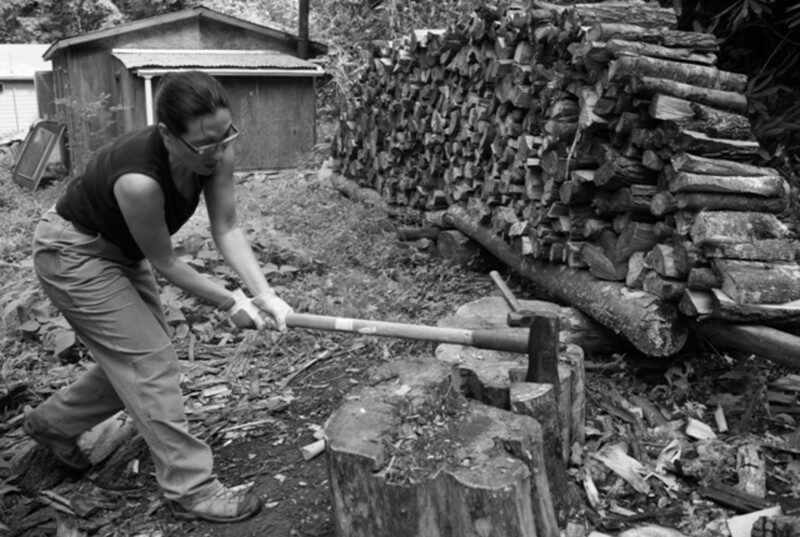 If you're thinking about using wood heat or need to brush up on your wood-chopping skills, you'll want to check out this article on chopping wood by hand. Perfect for autumn and the holidays, these three pumpkin recipes are winners. Use pumpkin bread for breakfast, pumpkin soup for lunch or dinner, and the pumpkin cream cheese brownies for dessert. Have some ripe bananas? 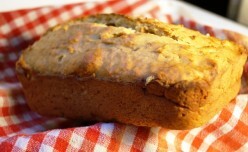 Make some banana bread! In this hub, you'll find two recipes that include blueberries and another that includes peanut butter. I share 10 inspirational women. From Elizabeth Edwards to Emily Dickinson, each woman featured in this article has had an impact on my own life. I share a bit of their biography and how they've influenced me. Take a motorcycle tour and walk through American history at the Museum That Runs. 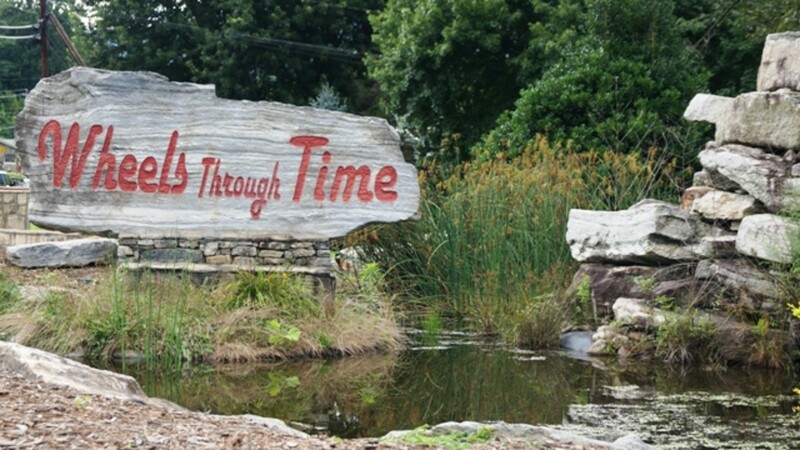 I share some interesting stories and highlights during a visit to the Wheels Through Time Museum in Maggie Valley, NC. Do you know the history of Leo the Lion? Can you locate it in the sky? 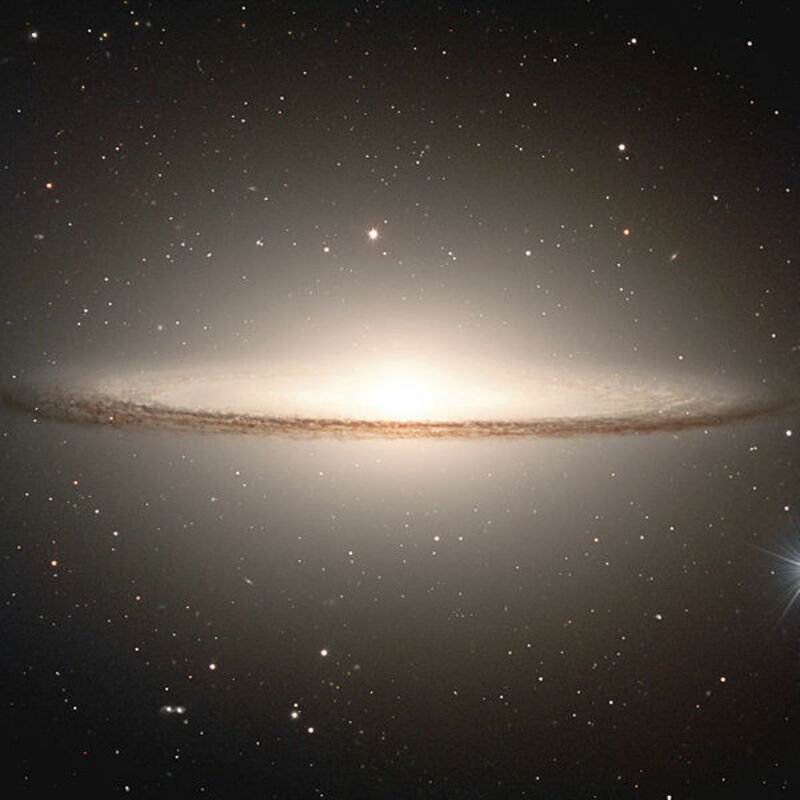 Find out the answers to these questions and learn some interesting facts about this ancient constellation. Hike Shining Rock - Find Blueberries! 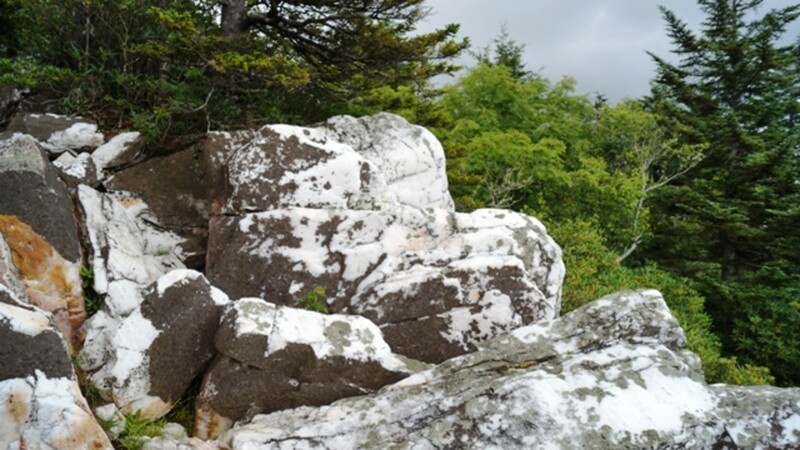 If you're looking for a fun, challenging all-day hike in Western North Carolina, Shining Rock is the place to go. The views are superb, the rocks are a snowy quartz, and the hike isn't too bad. 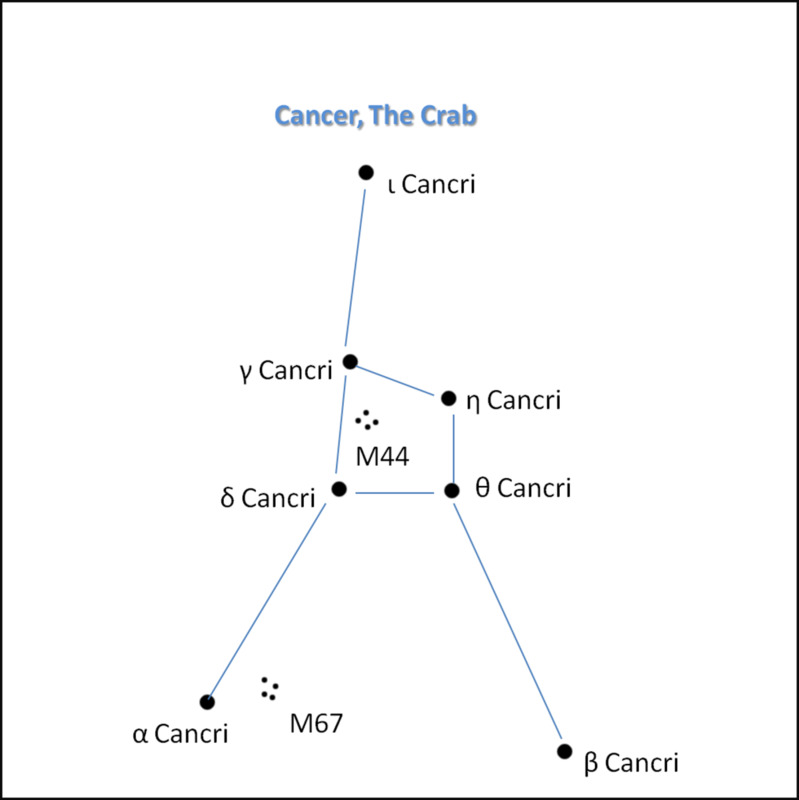 The constellation of Cancer has an interesting mythological history. It was "cast" into the sky by Jupiter. 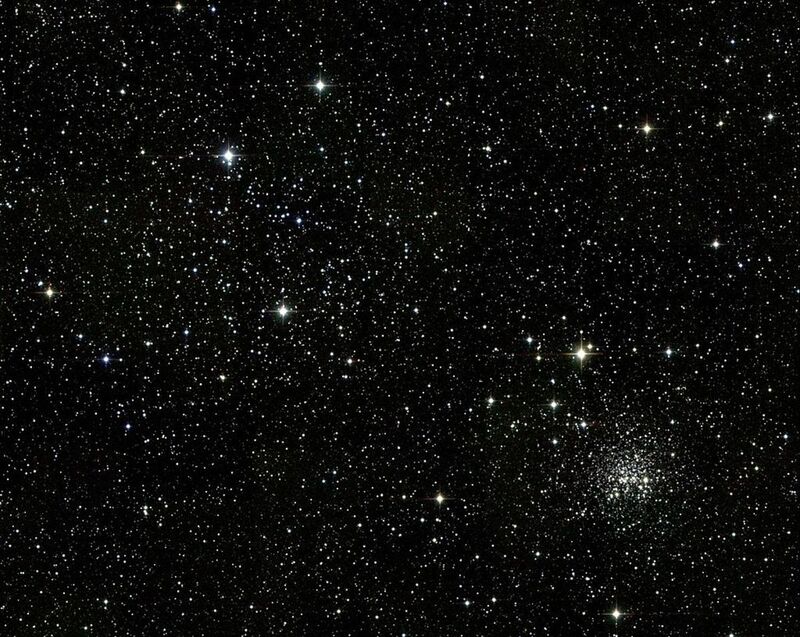 It also has lots of double stars, and a very interesting star cluster called The Bee Hive. Read on to find out more about interesting facts about Cancer the Crab. Pollux and Castor are the two brightest stars in the constellation Gemini. They have quite the mythological history. Pollux was immortal and Castor was not. Read to find out how they ended up in the sky! 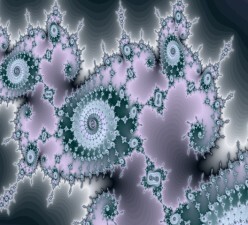 Fractals are a beautiful digital art form that I discovered as a result of reading a hub here on HubPages. I share about how I create fractals and what computer programs I use to do so. 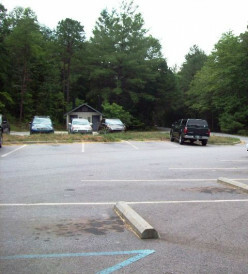 Whether you're visiting or you've lived in Asheville for awhile, Bent Creek is a great place for recreation. 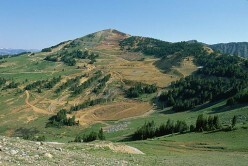 It's also a place to hone your mountain biking skills. 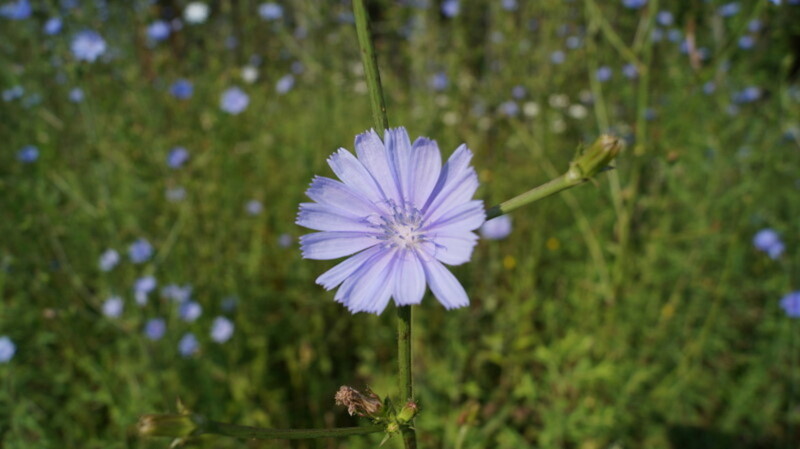 Here are five "weeds" that are beautiful, edible, and have medicinal qualities and uses that you never knew! They grow in my yard. The Blue Ridge Parkway offers breathtaking views for the driver, biker, and hiker alike. 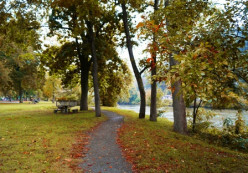 If you want to take a quick hike, hop on this short trail for an afternoon of fun. On a hot summer day, nothing beats a chilled meal that you don't have to cook on a stove. Gazpacho and cucumber gazpacho are two of my favorite cold soups to have in the summer. They are nutritious and delicious and great to have if you know any vegetarians. Blackbeard the Pirate had made his mark during the last 18 months of his life. 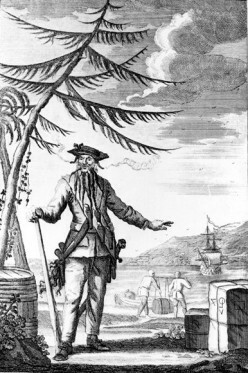 His reputation and antics spread along the eastern seaboard and throughout the Caribbean. 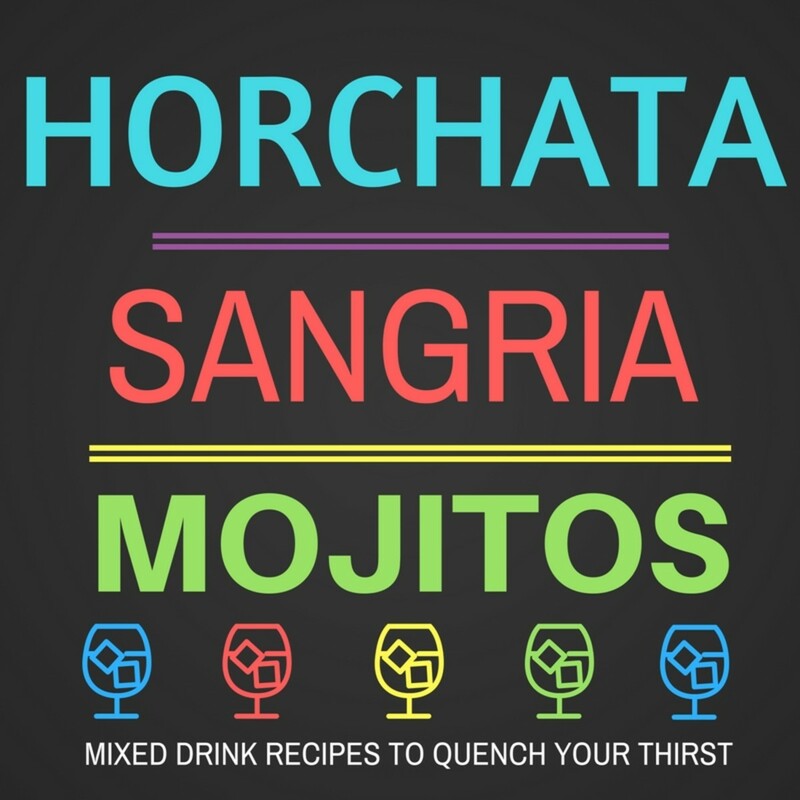 If it's too hot to bear outside, find some relief in these sweet mixed summer drinks: horchata, sangria and mojitos. Quench your thirst and relax on the porch with these yummy drinks. 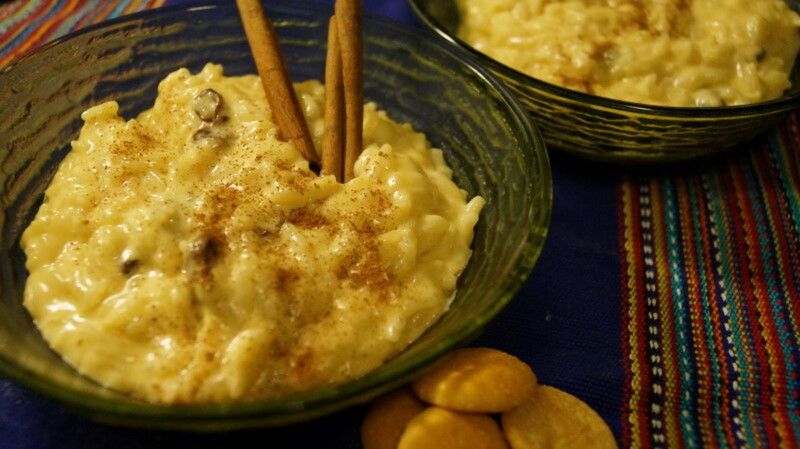 If you haven't tried arroz con leche or polvorones you're in for a treat! Bascially, arroz con leche is rice pudding and polvorones are Mexican wedding cakes. Try them! They're easy to make! 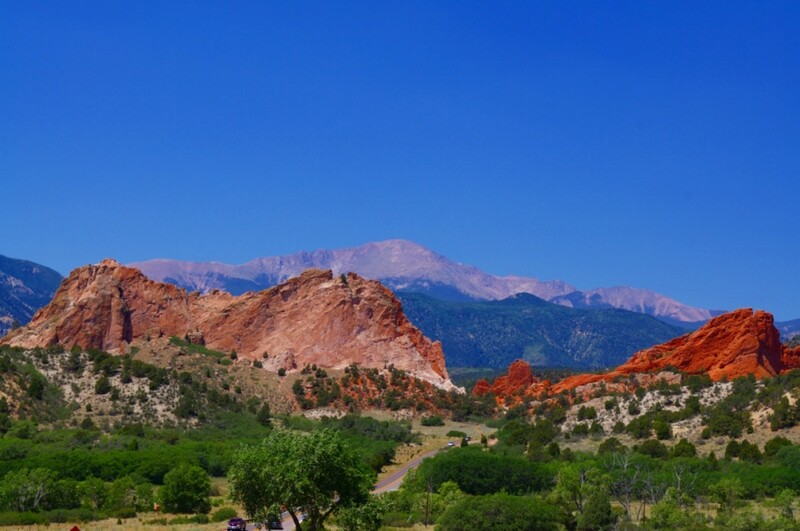 Garden of the Gods in Colorado Springs has beautiful sandstone rocks with an incredible history of formation and erosion. I frequented this park often when I was young and its beauty enraptured me. Read more to find out why. Do you work at a computer more than 4 hours per day? 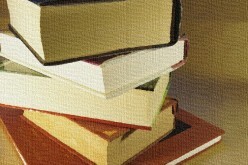 After reading or writing for extended periods of time is it hard to focus? You may have eye strain. Luckily, you can use a number of home remedies to help. 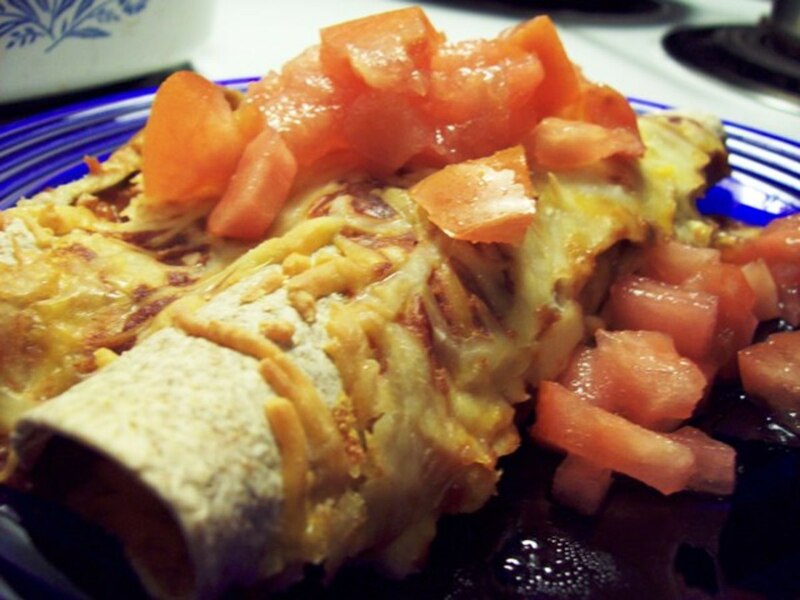 Try a different kind of burrito - oven baked with veggie crumbles! 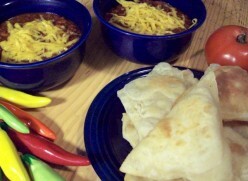 This recipe is delicious with melted cheese and tangy taco sauce. Bake in the oven and enjoy. 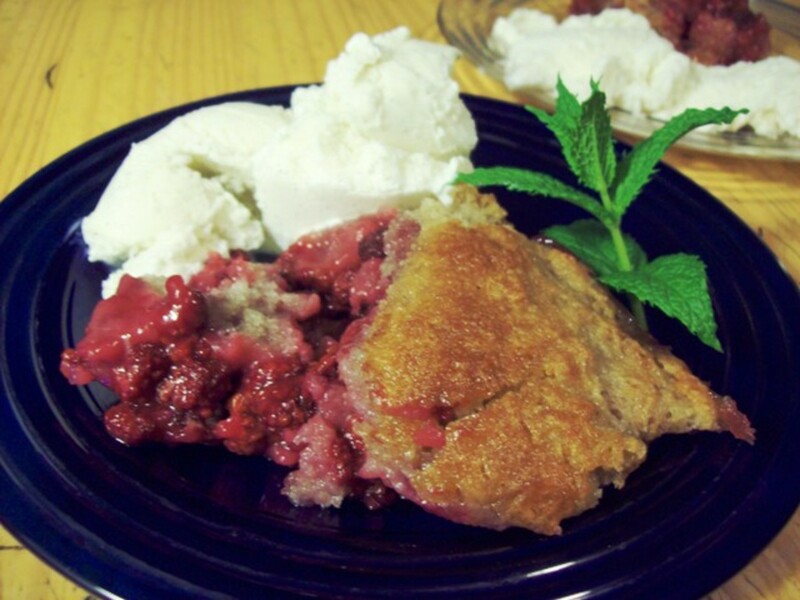 Make delicious raspberry cobbler that your friends and family will love. You can substitute in virtually any other type of fruit and serve with ice cream, frozen yogurt, or even whipped cream. 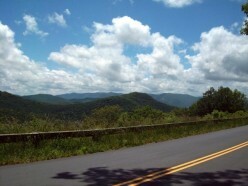 Riding your bike along the Blue Ridge Parkway is a wonderful way to see the mountainside. The views are incredible and it's great exercise. Do you pay too much for your auto insurance? What about liability insurance? I only carry liability insurance on my cars. Read on to find out why. Spiders are very beneficial and should not be killed. 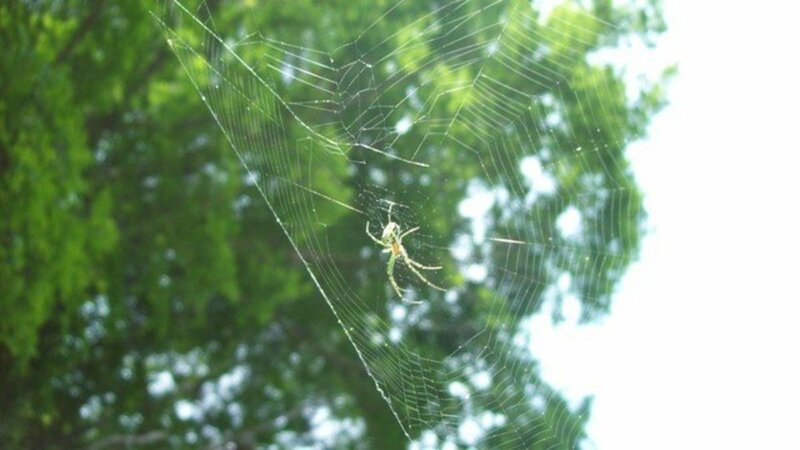 This article provides some interesting scientific facts about spiders, along with their symbolism. Confused about who and whom? Have no fear, Hubert will do some investigating for you. But first, he must eat some chocolate meringue pie. One way our country can reduce its dependence on petroleum is by using biodiesel. It's made from cooking oil and people who use diesel can also use biodiesel in their vehicles. Read this humorous, if not slightly crazy, account of my biking escapades and what I've learned about first aid. If you're particularly accident prone, you might want to read this. If you like to tell stories and don't mind being in front of people, storytelling might be a fun hobby or profession. 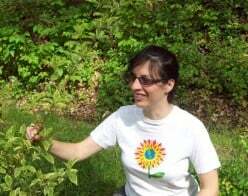 If you want a fun and creative Earth Day project to do, why not make a t-shirt? I created a design by making some sketches and then drew my design on to the t-shirt. 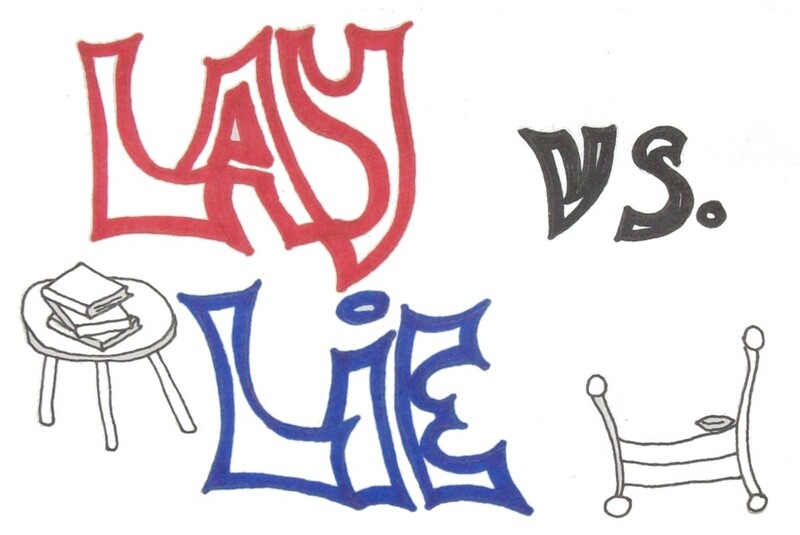 Confused as to when you're supposed to use lay vs. lie? You're not alone. 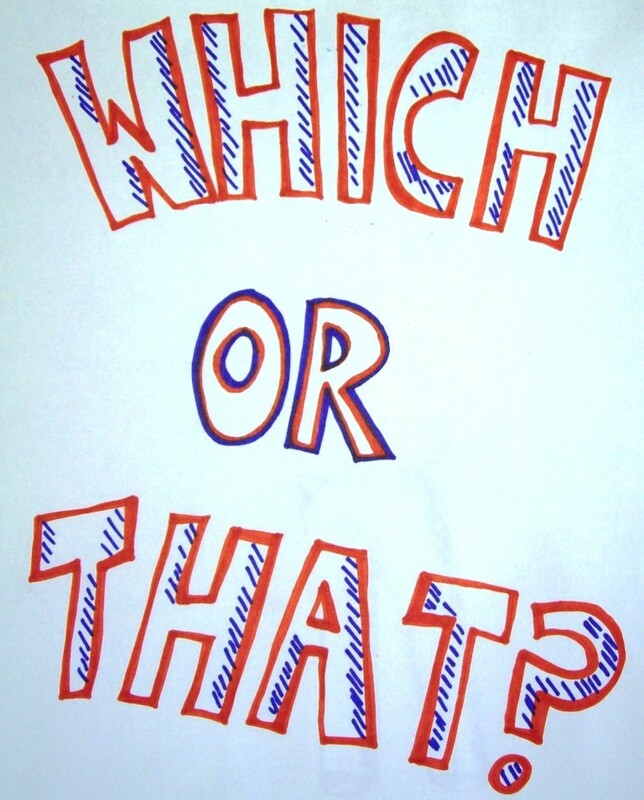 These two words have to be two of the more difficult ones to get correct all the time. Read this humorous hub to help you remember, and see if your brain has turned to Swiss cheese. 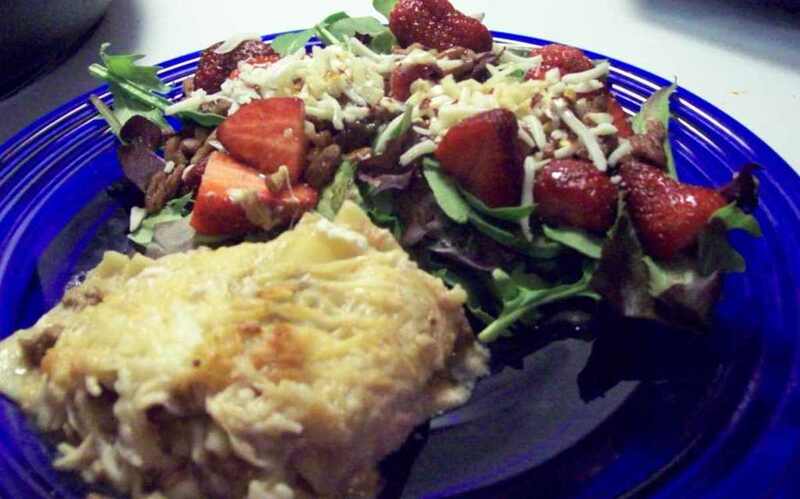 Looking for an easy meal to make for dinner? Make some yummy lasagna. Preparation is minimal and you can get on to other things while it's baking in the oven. Pair it with spring mix baby greens and some vinaigrette dressing and your dinner is sure to be a hit! 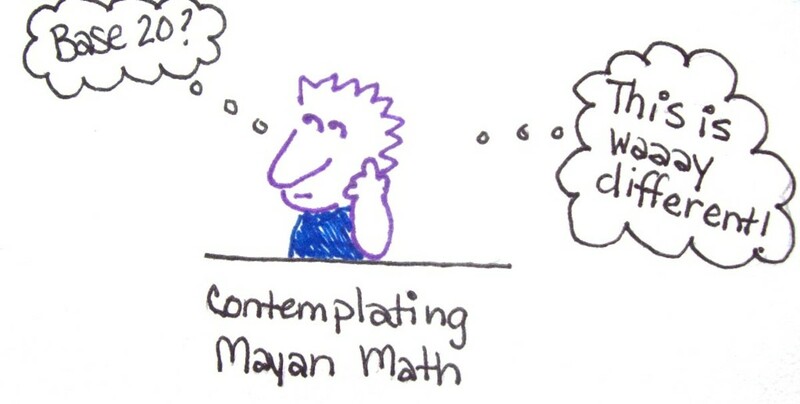 The decimal system isn't the only way to do math. 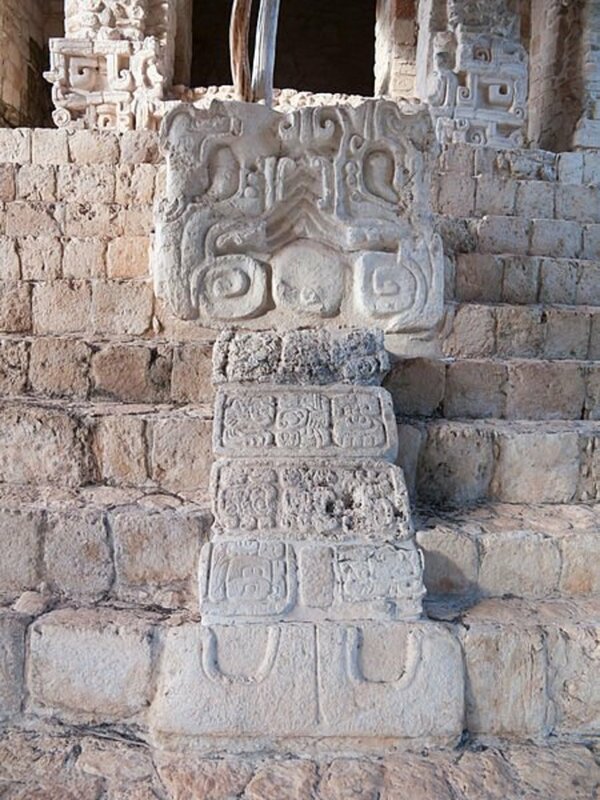 The Mayans used a system with base 20. With only 3 characters, they could write any number they wanted. 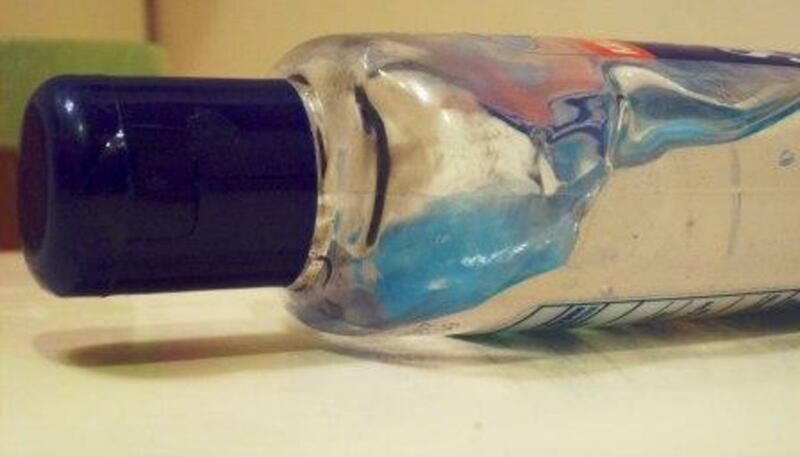 Making your own hand sanitizer has some great benefits: you can use it for a lot more tasks. From cleaning glasses to using on camping trips, you'll find plenty of reasons to make your own. 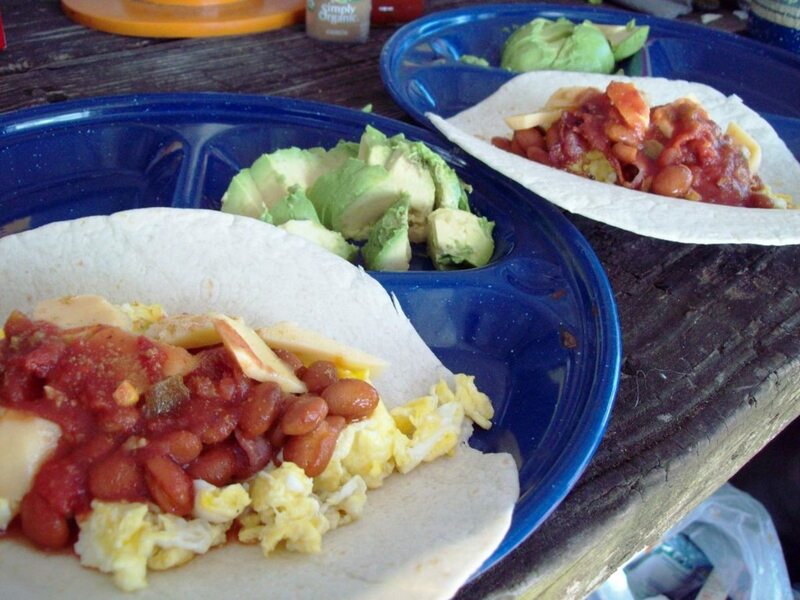 If you're looking for recipe ideas for the campsite, look no further. 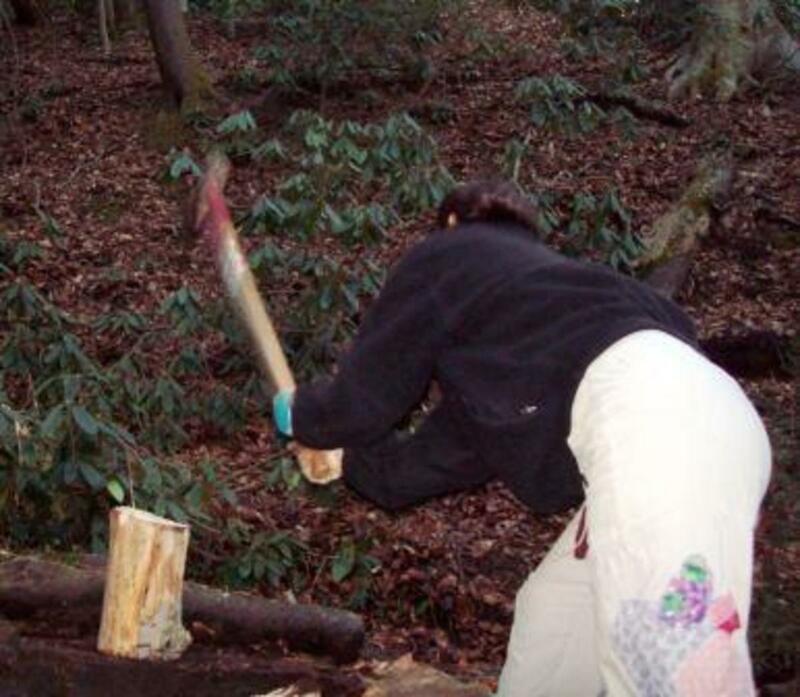 This article has recipes for the propane stove, the campfire, and even the Dutch oven. Take a brief history tour of the three lighthouses located on the Cape Hatteras National Seashore. Also featured are the Bodie Island lighthouse as well as the Ocracoke Island lighthouse. The Jobell Flower, sometimes spelled Jobellflower, grows all over the sand dunes, shores and roads in the Outer Banks of North Carolina. They have a story; it is one of true love. Find out about Joe and Josephine Bell in this hub. Did the Spanish really find El Dorado? 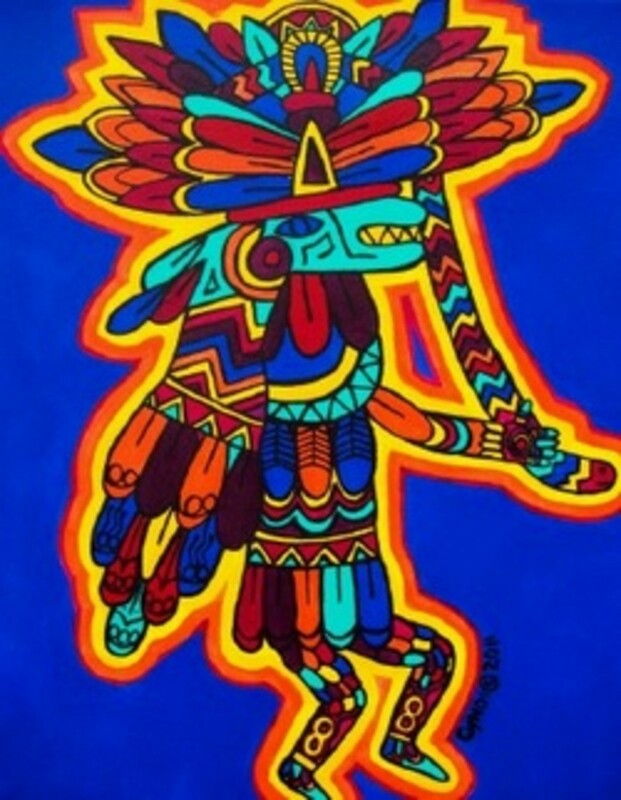 Some say the Chibcha people held the key to the City of Gold. 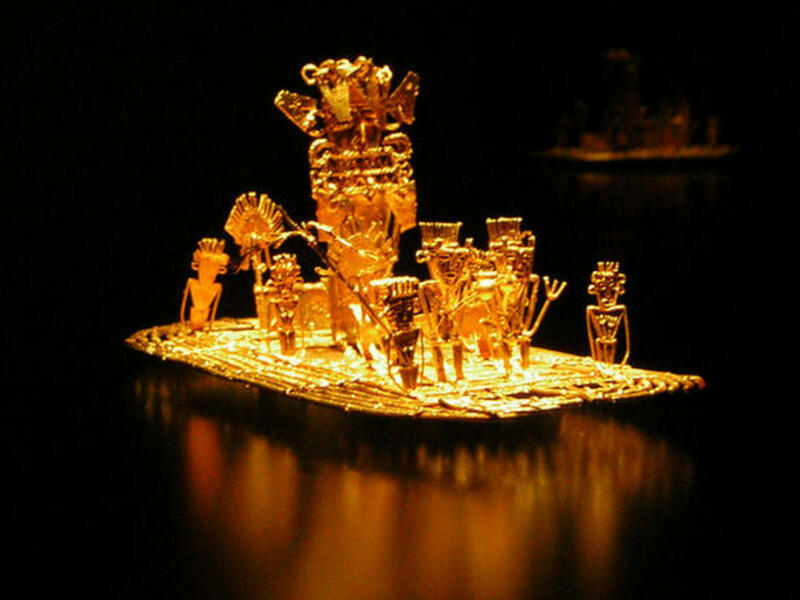 Learn about the Spanish quest for gold and the Chibcha legend of El Dorado. You might just find a hidden treasure. Do you ever wonder when to use "a" and "an"? 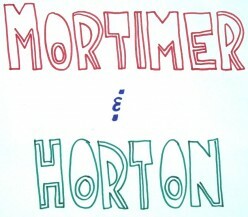 Mortimer and Horton do. Embark on a little journey with them to Utopia and learn how to use "a" and "an" while they find themselves on a wacky adventure. Many parents love to display their children's artwork. They want to cultivate that inner artistic genius. Sometimes, though, all that artwork can really add up. 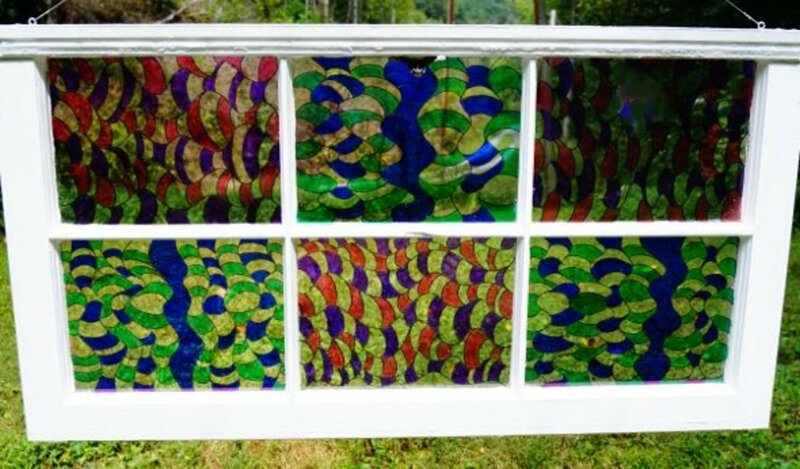 Find out some creative and fun ways to display your child's artistic creations from making greeting cards to coffee table books! 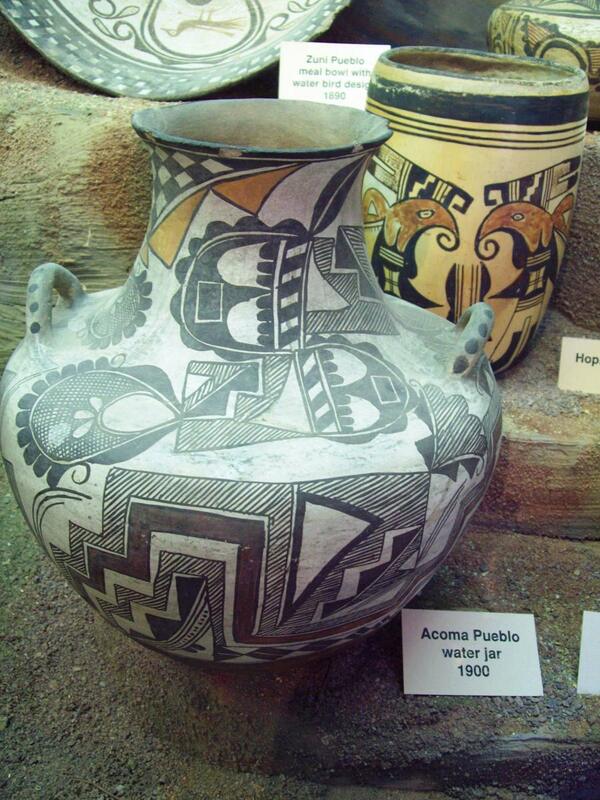 Did you know that Native Americans contributed up to 3/5 of all cultivated foods to the world's table? 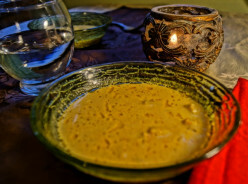 Find out more about the history of Native American foods and a recipe for succotash. If you're looking for ways to save water, look no further. 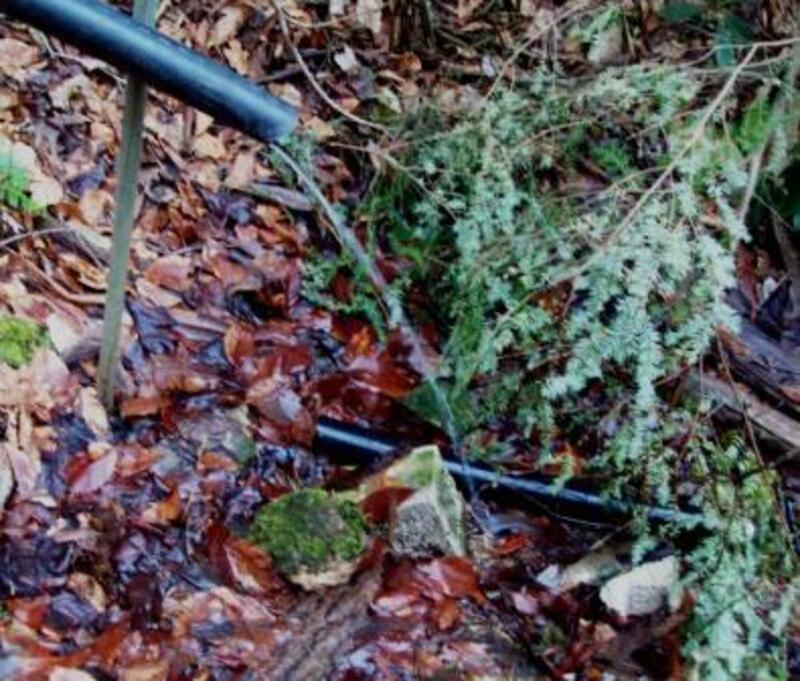 With lots of suggestions, pictures and hints, you'll learn fast and easy ways to conserve water in and around your home. You'll also save on your energy bill, too. Mrs. Twitches explains the rules for using WHICH and THAT. 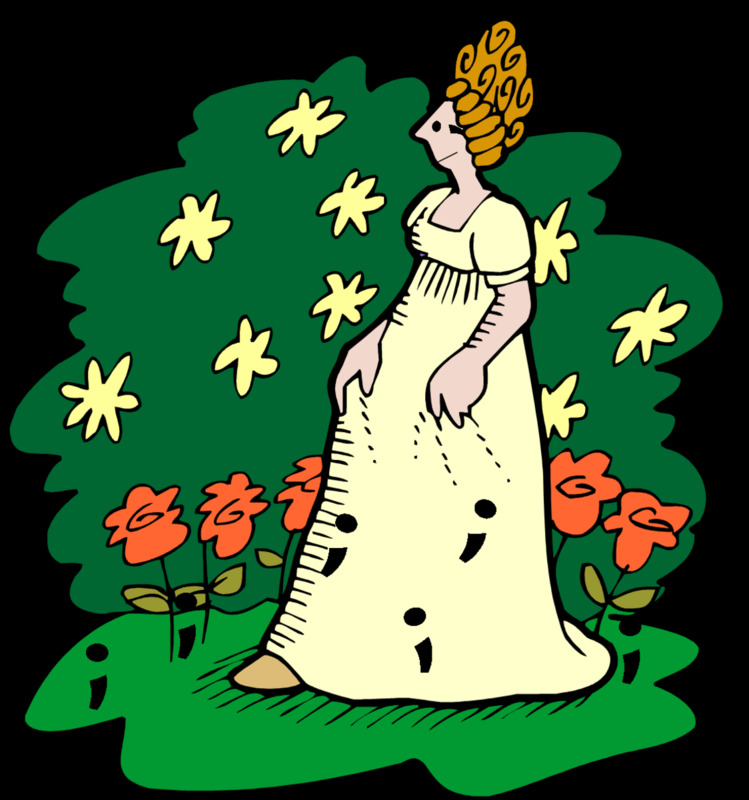 You might find yourself scratching your head at her rhymes and uncommon explanations for which and that and their respective clauses. But, you'll also find out if she gets hitched with Mr. Glitches. Grocery shopping on a budget doesn't have to be a drag. 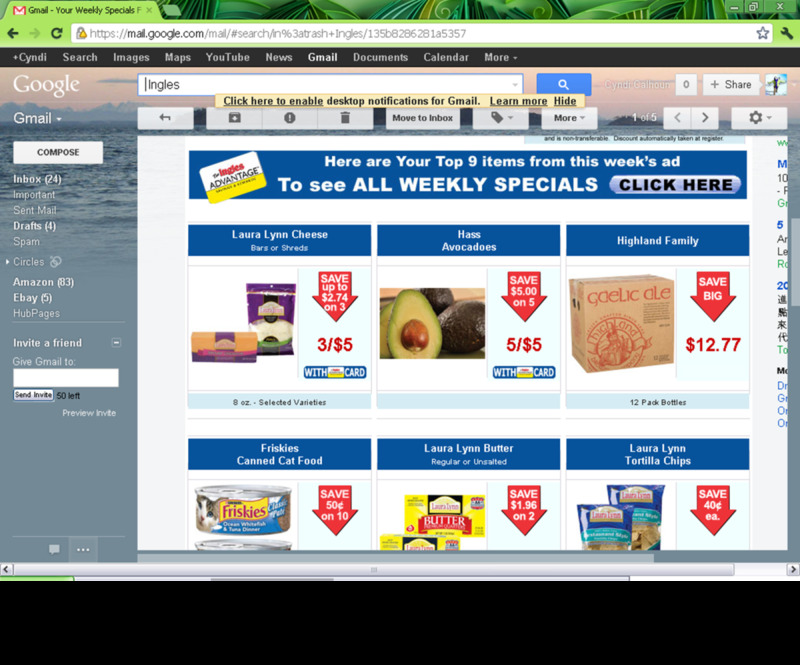 I have developed my own system of eating well and maximizing my savings while at the grocery store. 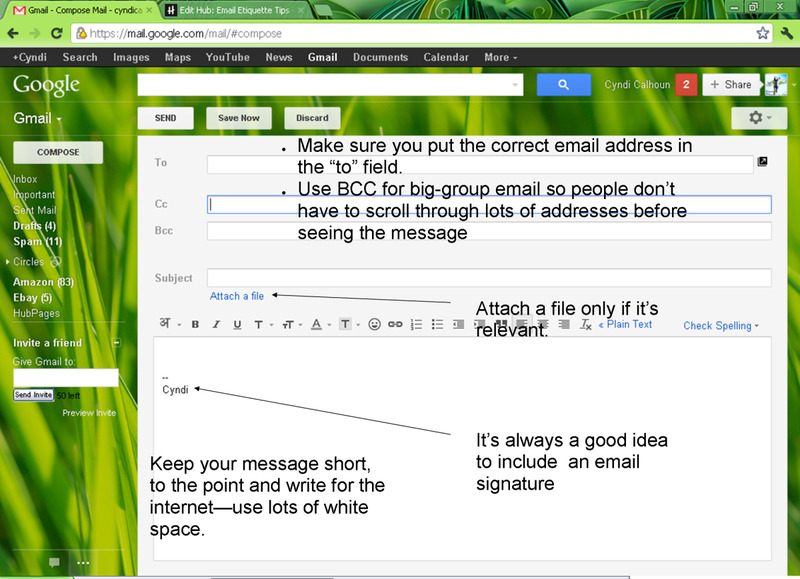 Here are 6 rules to help you write emails. You want to put your best foot forward, right? 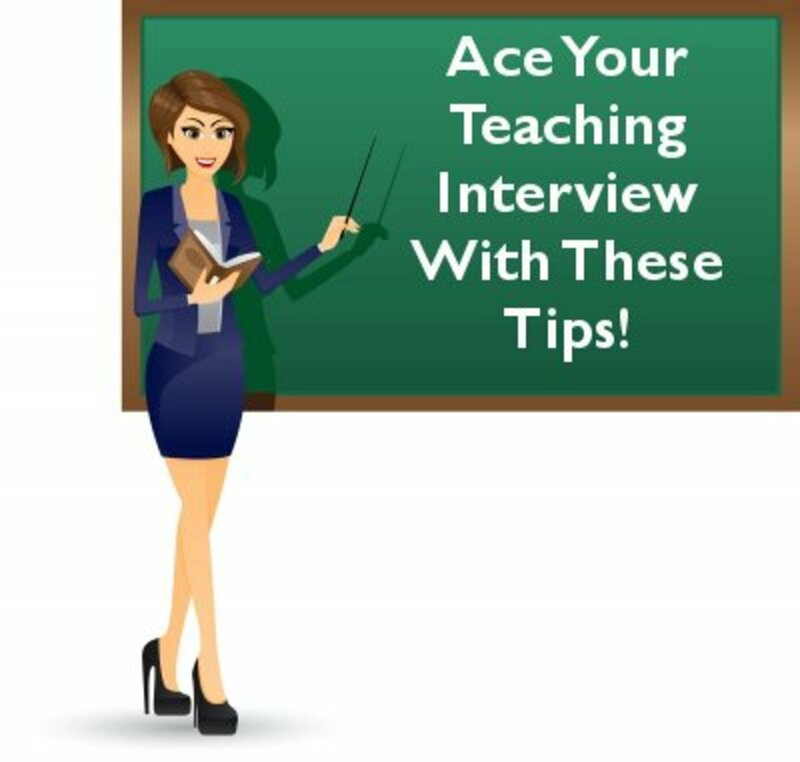 You can use these tips to present yourself in a professional manner. 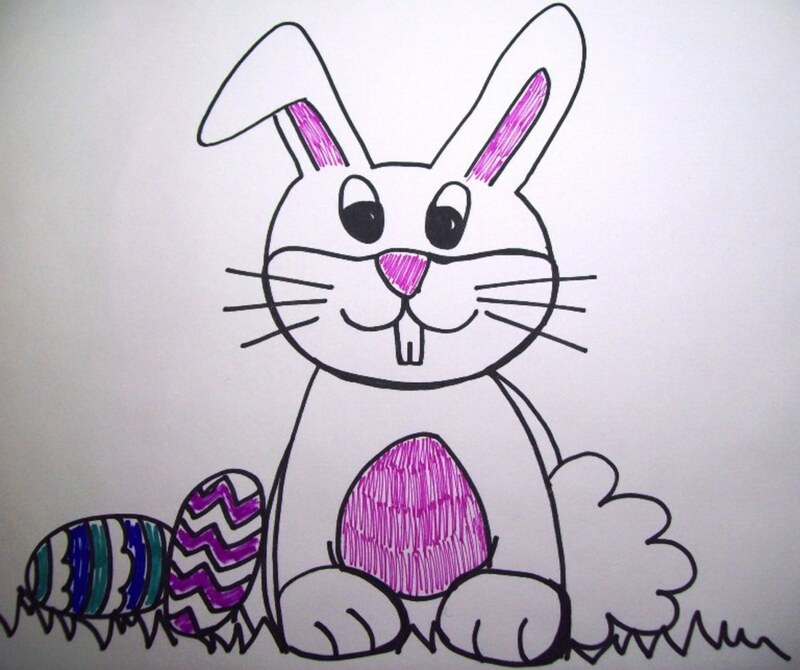 Did you know that the Easter bunny - as well as many other symbols of Easter - originally came from Pagan traditions? The Easter bunny has a long and varied history leading up to today. 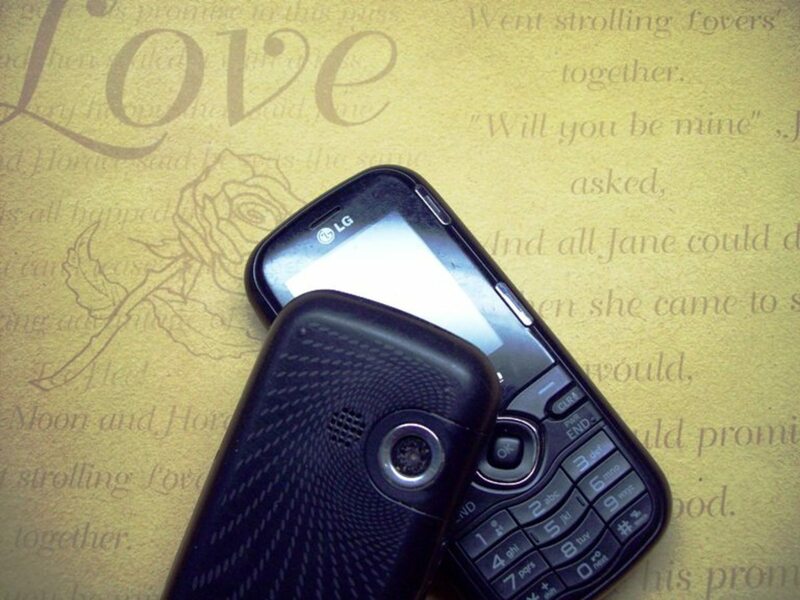 The cell phone is a great tool to use for emergencies. But, EVERY phone call is not an emergency. Frankly, we don't all want to know about your personal life, either. Find out four simple rules to keep your sanity and uphold civilization. When do you use "I" or "me"? If you've ever met "Jimmy," you'll be begging to use personal pronouns just so you won't have to hear Jimmy talk about himself in the third person all the time. But before you gang up on Jimmy, find out when you're supposed to use "I" or "me" in a given statement. Have you ever wondered what's going to become of the English language now that we have BFF's and LOL's running rampant in text? Maybe it's a good thing...maybe not. How do you use quotation marks and quotes? What are quotes? 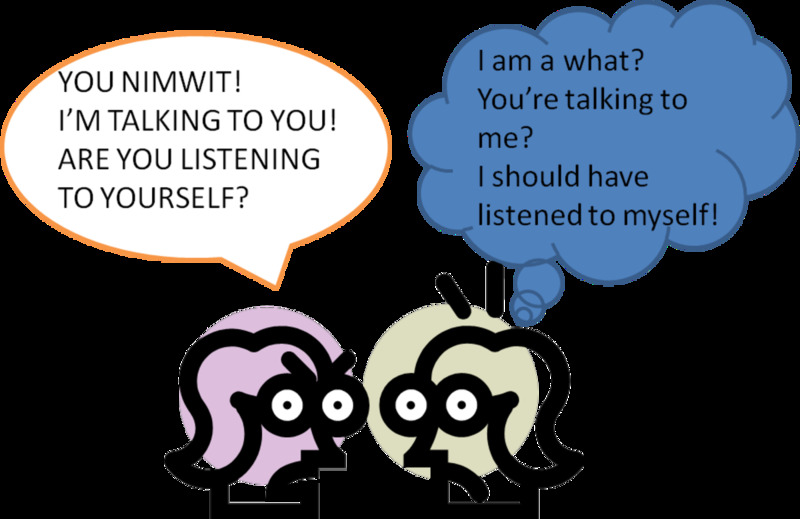 Find out in this humorous hub that identifies an evil twin at work...or is it just trickery? These books will touch your heart, make you cry, make you laugh, fill your heart with love, and make you walk away perhaps looking at life a bit differently. 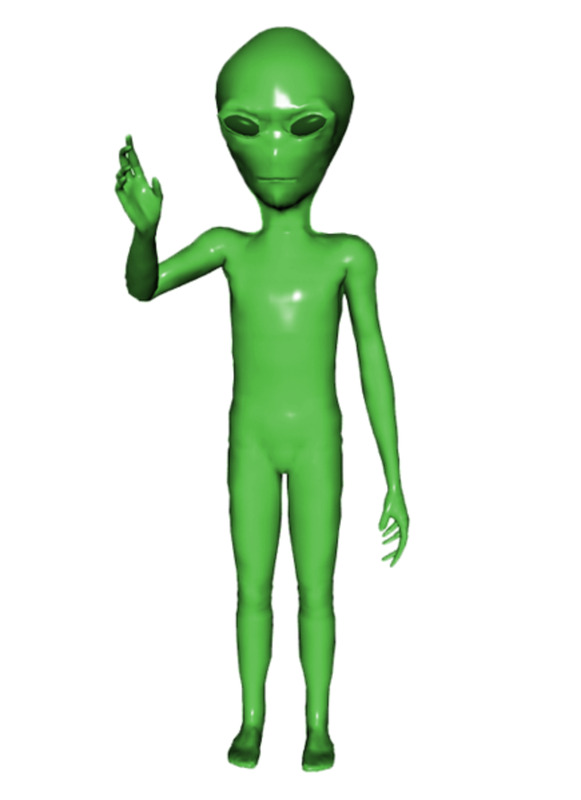 Do you call that alien a he, she or an it? Find out when to use the correct pronoun. 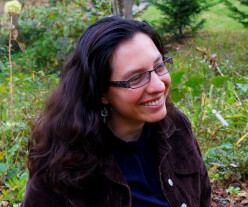 Asheville's art scene featured Jocelyn Reese at Montford Books on Friday February 10, 2012. Check out this hub to see glorious works of art, and a jewel of a bookstore. 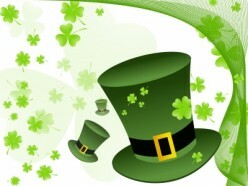 St. Patrick's Day is March 17th. Find out why it's celebrated on this day, and how to make your own celebratory green beer. Do you know how to use the word "myself?" Incorrect use of "myself" will not be tolerated...by me, myself or I! 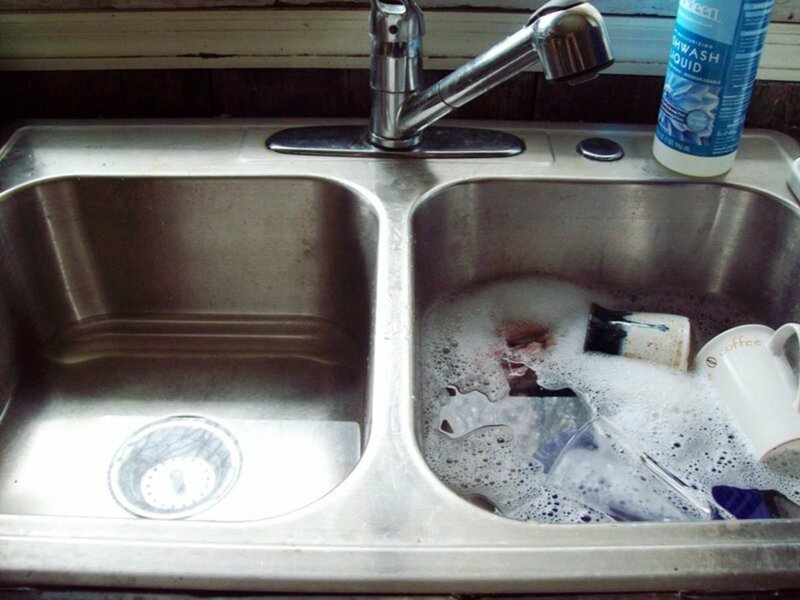 There are lots of eco-friendly products out there that SAY they'll clean, but they're often sub-par in their cleaning abilities. 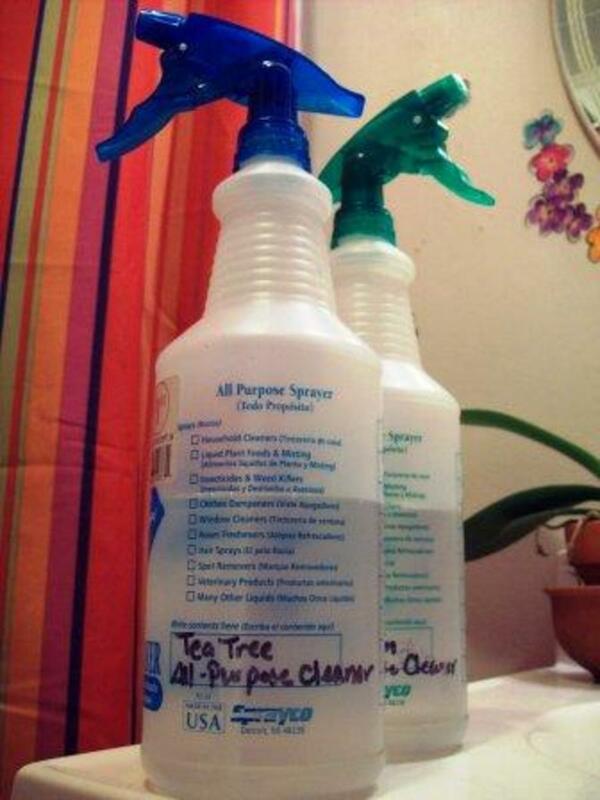 I found a dish soap that not only cleans well, and has other uses, too! 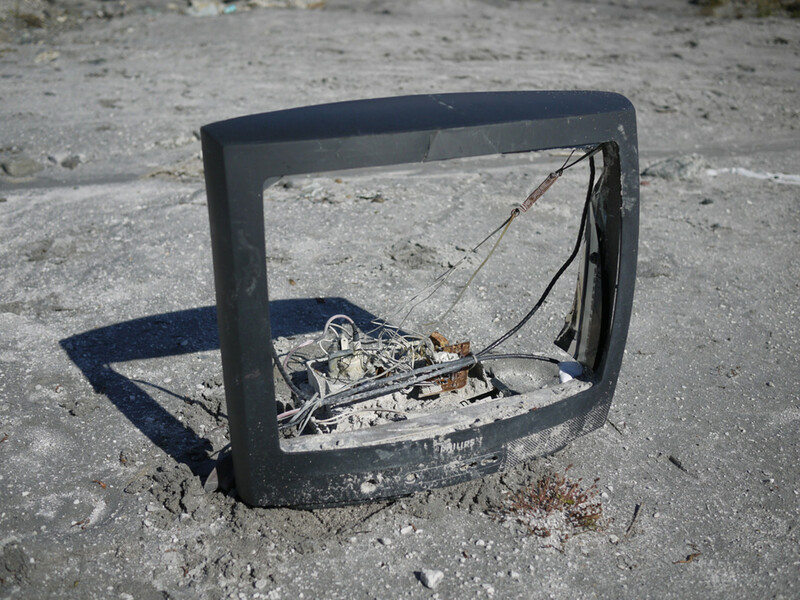 Millions of people watch TV every day, sometimes for hours a day. But did you ever stop to think what all that TV-watching might be doing to you, or to society in general? Lady Semicolon is at once elegant and intimidating. Many a writer will avoid her, but a few bold souls will invite her to their dinner parties.  Will you invite Snooty Semicolon to your literary circles? She awaits your response. Does the apostrophe trip you up? 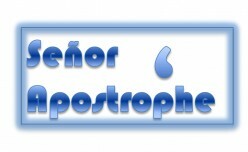 It's hard to know when exactly to use it, but this concise hub will give you the story of Señor Apostrophe's job description so that you'll always remember when to use him. He loves to be used and hates to be abused. If you've ever wondered how to make a great hub, you just might find the answers in this checklist. Max Patch is a beautiful place to visit and hike in Western North Carolina. 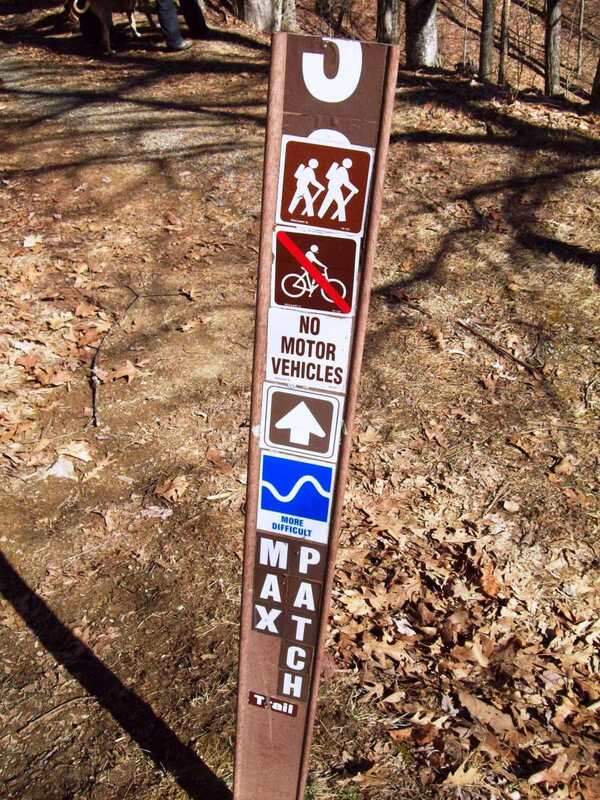 There are a number of options for hiking. 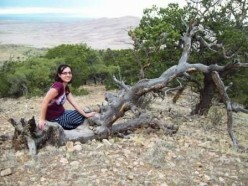 You can also just climb to the summit - about 1/2 mile - and enjoy the 360-degree views. Why go out and buy leather cleaner when you can use the natural products in your kitchen? 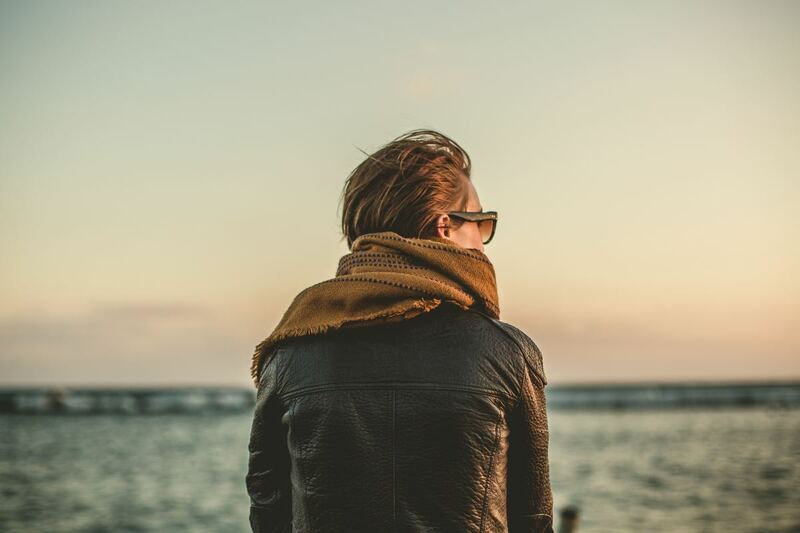 A little olive oil and lemon juice will go a long way in helping to clean your leather jacket or coat. 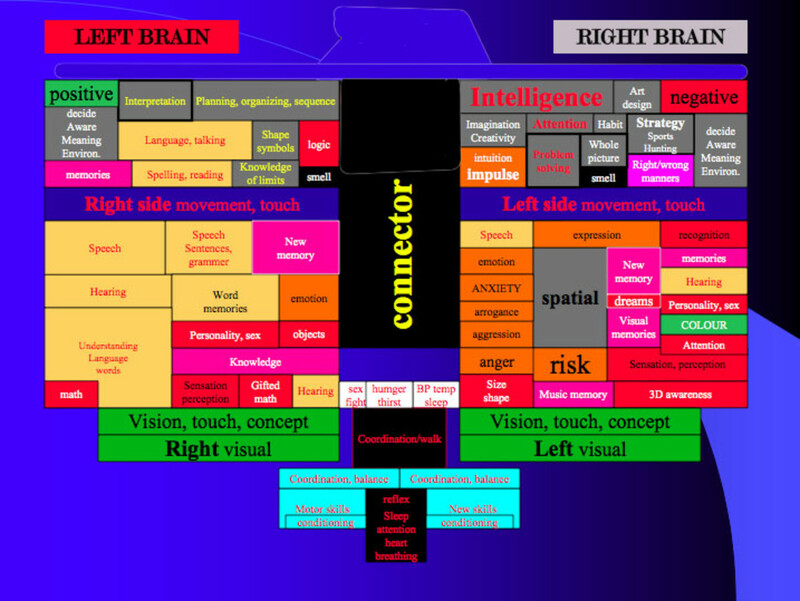 Given that the US is a left-brained society, and I'm a right-brained person, I've had an interesting journey "making it" in society. The road has always been interesting. 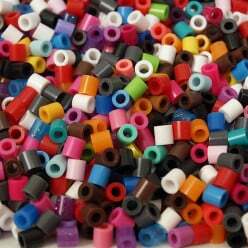 Have you ever noticed that the US is a numbers society? Or have you noticed that Americans are quite business oriented? It's not a coincidence. It's part of my argument that the US is a very left-brained society. 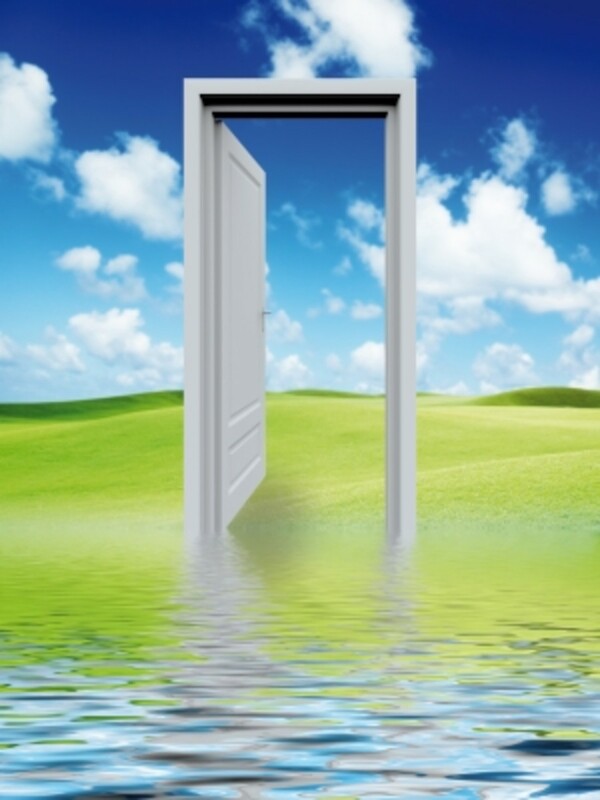 A number of different ways to save money also involve being "green." It's not expensive and some of these suggestions may surprise you. 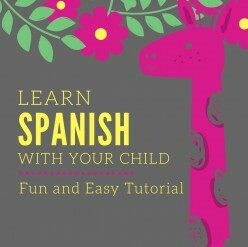 Do you want to learn some Spanish and learn it with your child? You can with this easy, fun tutorial that covers the alphabet, numbers, greetings and more! Do you have old cell phones laying around? How about old computers or laptops? Perhaps you want to get these things off your hands. This hub offers great websites and places that will help you take these items and other household products off your hands. You might even make some extra money! The International Day of Peace is September 21st of each year. 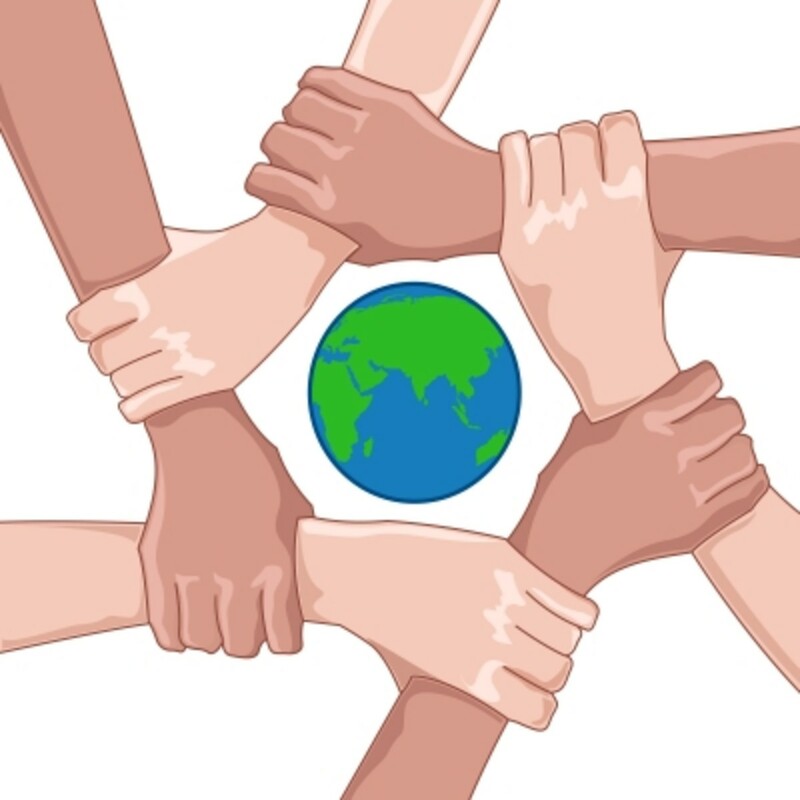 Many around the world gear up for this day in many ways - there are many ways to celebrate! In Part I, I talked about the first six values Americans live by and how we can use our ideals to propel us into a Green Revolution. What are our American values? Can we use our values to propel us into a Green Revolution and help the US to once again become a model of innovation? Find out in this two-part article. 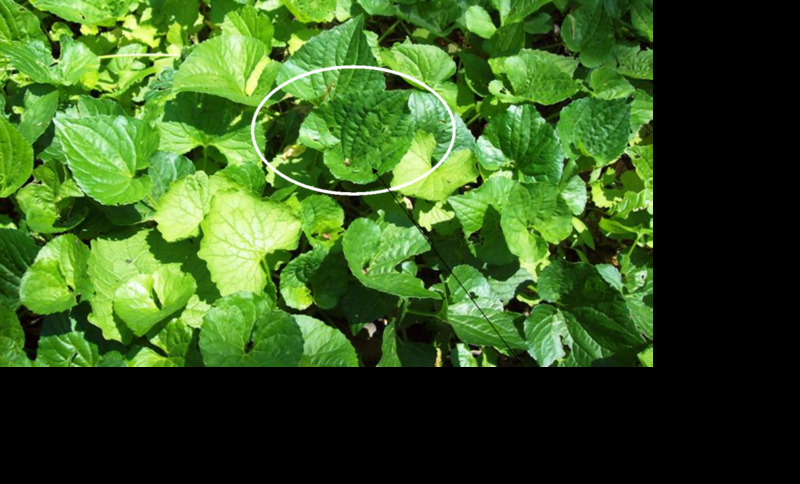 Are American and Chinese ginseng similar? If they are, what other similarities exist between the East and West? Find out about pyramids, hieroglyphics, and other connections between cultures. 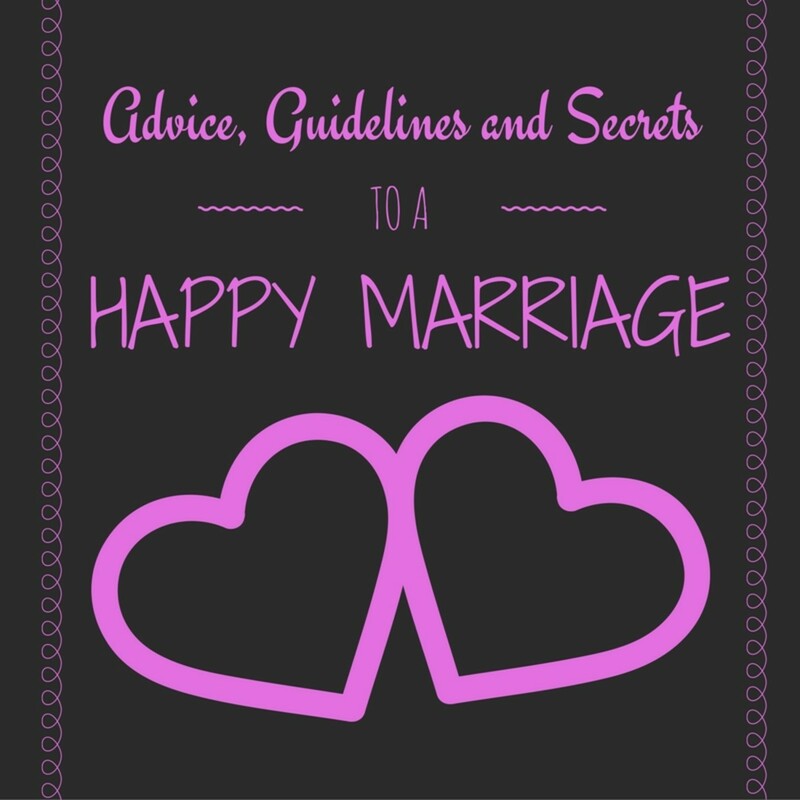 Marriage can be one of the most wonderful things that you ever experience. However, like anything, it takes mutual companionship and work to make something good even better. Sure, you can do dinner and a movie. The ol' standby. Though your significant other will almost certainly appreciate your efforts, why not get creative and really show you care? 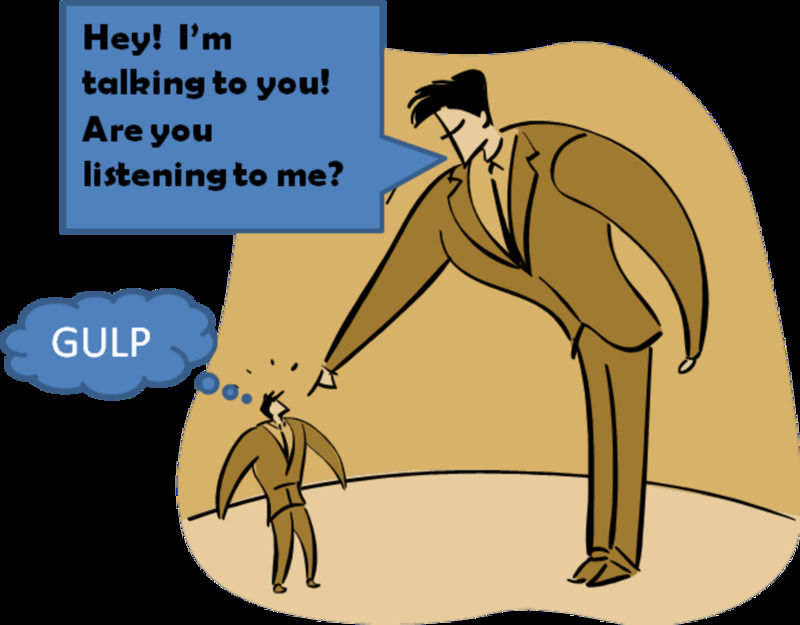 Have you been accused of not listening? 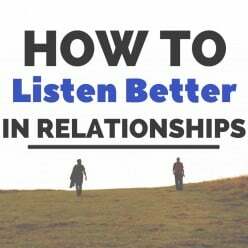 Become a better listener and wow your family and friends for knowing how to "deeply listen." 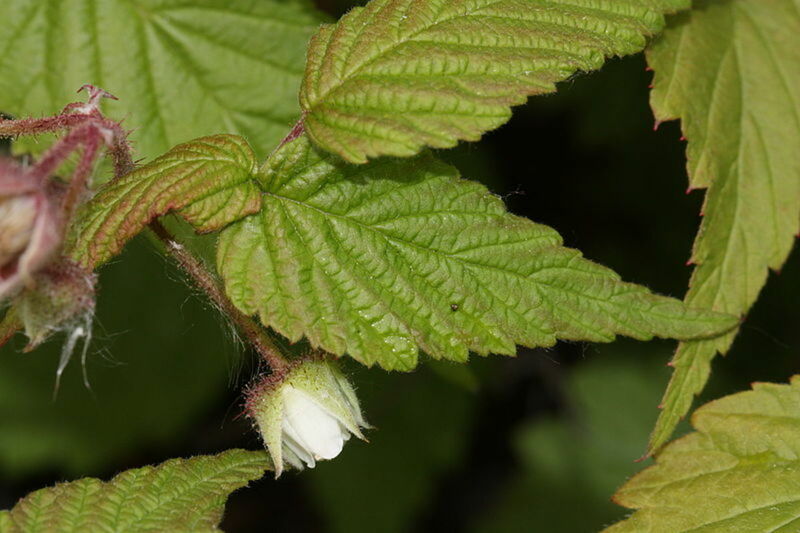 Raspberry bushes are part of the rose family. 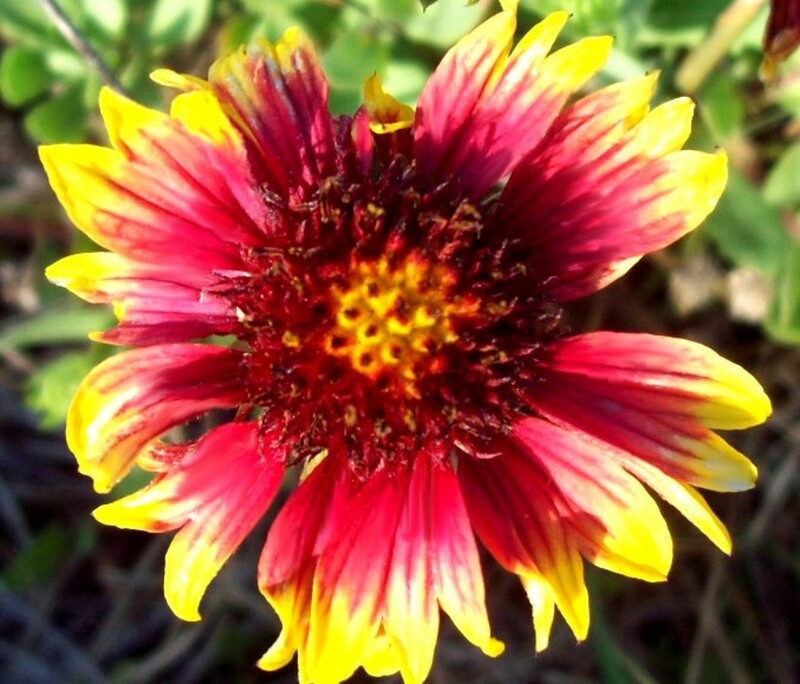 They have many nutrients and are high in vitamin C. They are found as native plants in North America and in parts of Asia. I love treasure hunts. 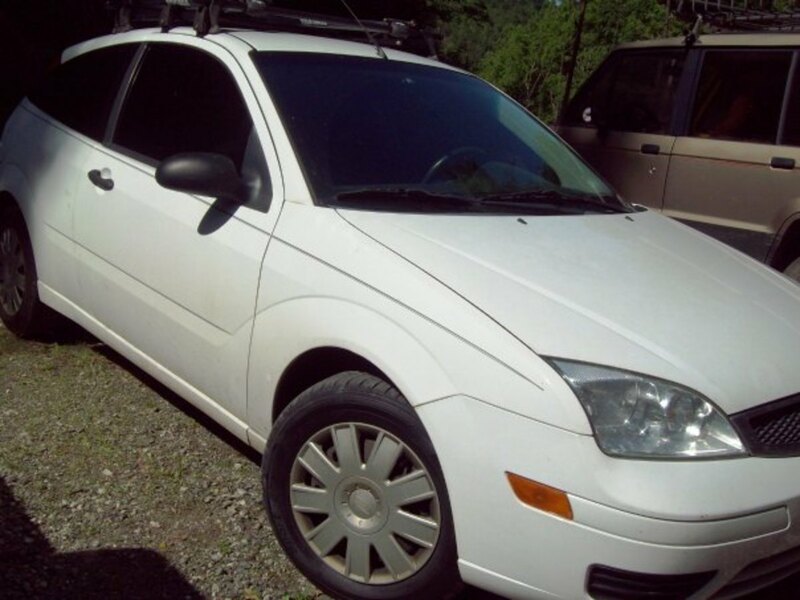 For me, there's nothing more satisfying than finding a new item at a rock-bottom price. Here are the confessions of a Goodwill junkie. 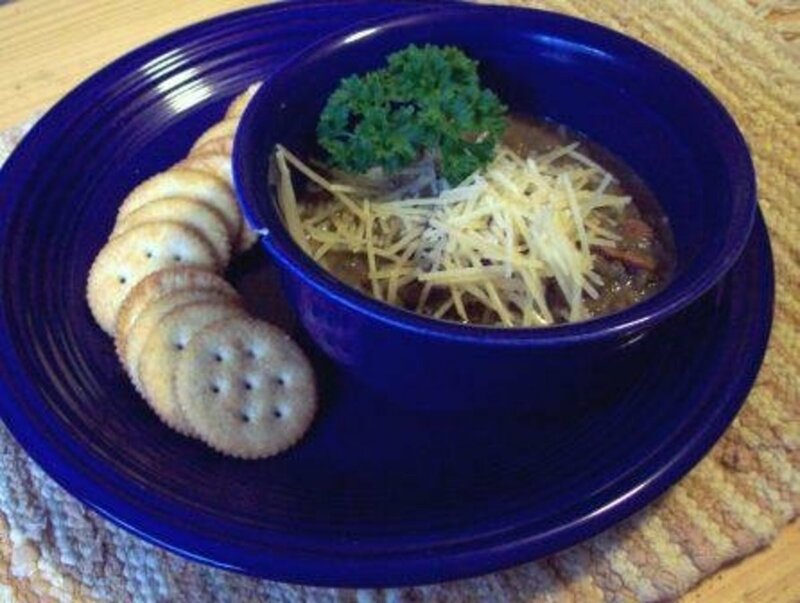 If you love soup, and if you love crockpots, you might just love lentil soup in a crockpot! 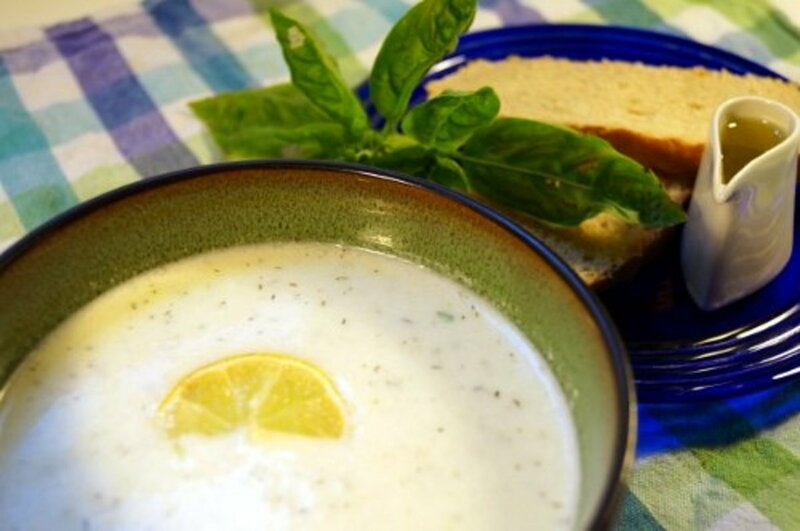 Nutritious and yummy, you can substitute different ingredients and get delicious results. 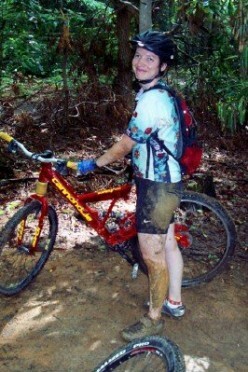 Mountain biking is challenging and fun. 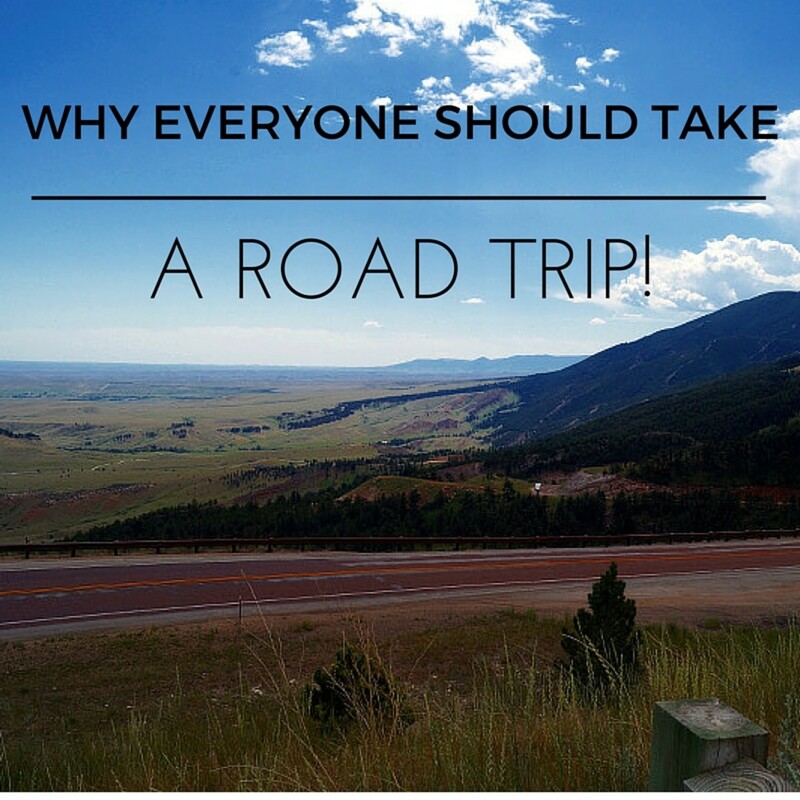 Make sure you're prepared and ready to go with these simple explanations and pictures. It's a duty to have fun, and it's fun to have an adventure in nature - written especially for women. 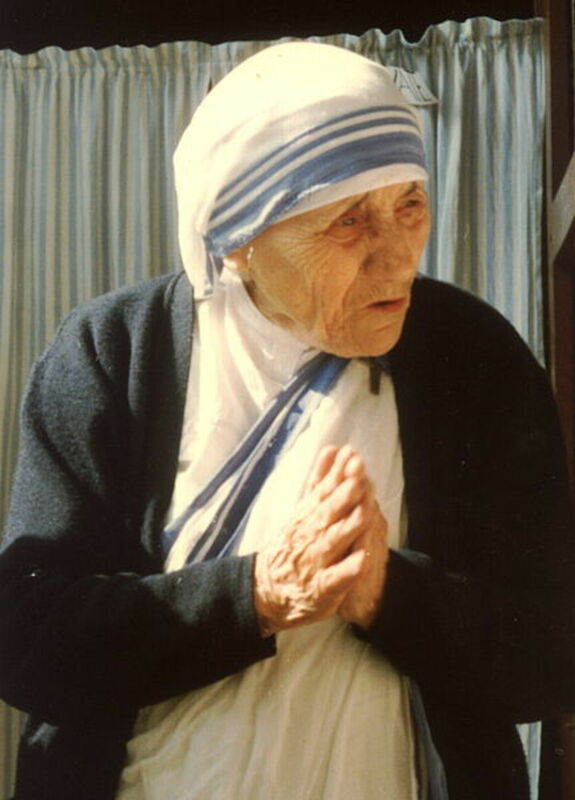 Mother Teresa, Rigoberta Menchu and Deganawida all have something in common: they were peacemakers. Learn about what made them so influential and incredible. What are the most common ingredients in hand sanitizer? Find out what they are and if they are harmful to your health. 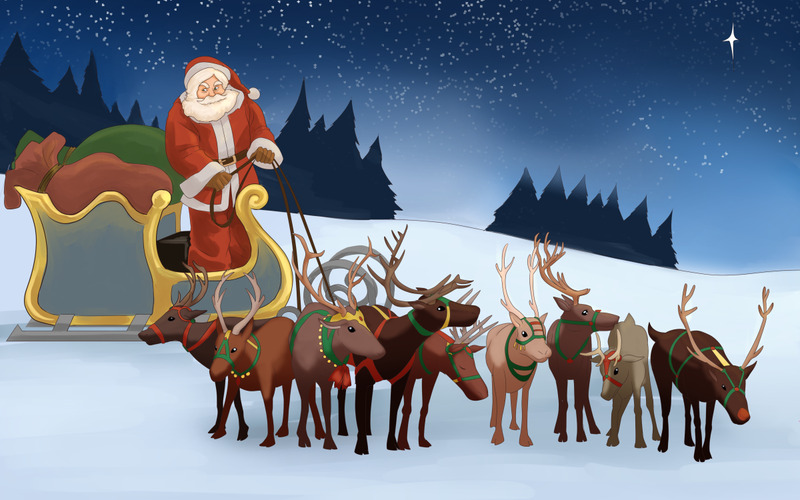 Do you know all of the reindeer names? How about the 10th reindeer name? Join me on this fun adventure to learn all the names and to get an inside peek on all the reindeers' personalities. Do you ever wonder where your electricity comes from? If you have ever witnessed mountain top removal using dynamite, it's for the coal needed for electricity. Maybe there's another way. 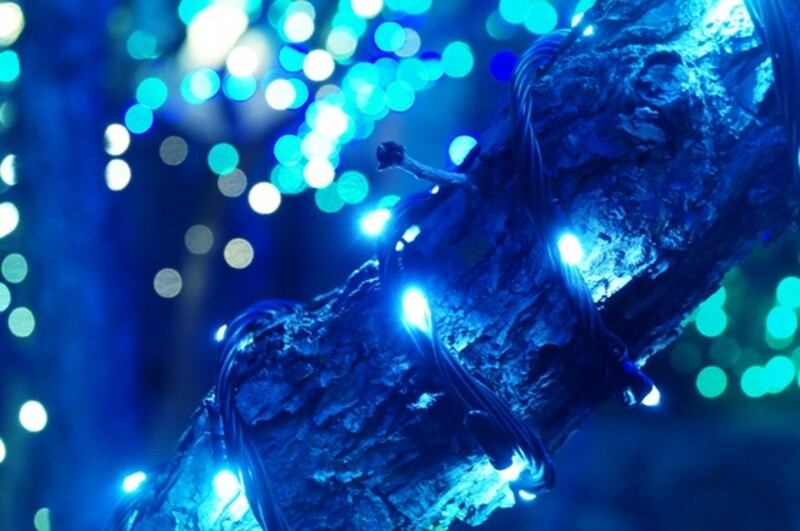 The traditional Christmas holiday is expensive and not very "green." 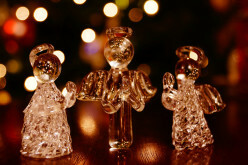 Here are a few suggestions on how to make your holidays more earth-friendly while creating some new and fun traditions. It's hard to know what to do with all the wrapping paper leftover from the holidays. 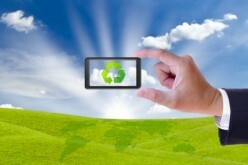 Here are some ideas that will help you to be more eco-friendly. 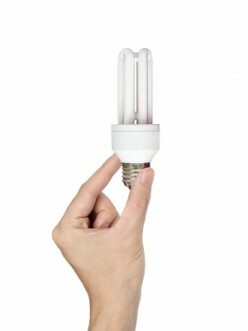 If you want to lower your electric bill and save money, there are many simple things you can do. 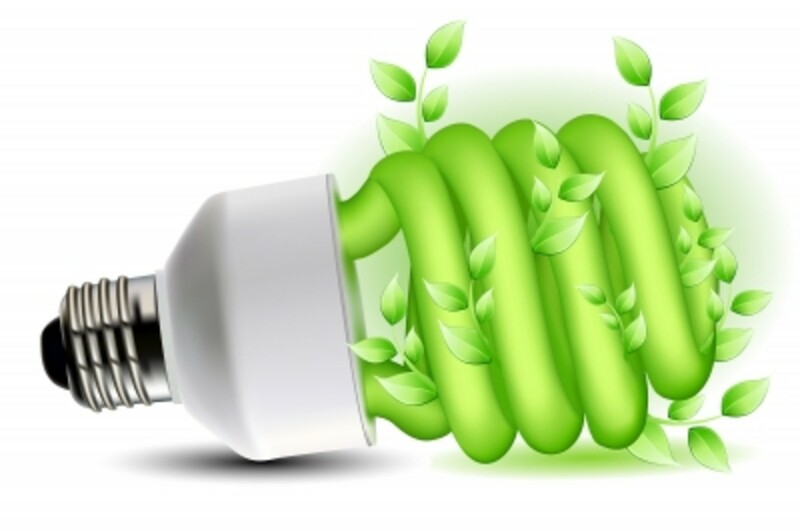 From changing light bulbs to taking shorter showers, you don't have to do much to drastically reduce your energy consumption.